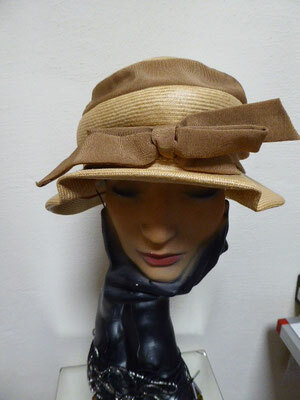 Hier sehen Sie eine kleine Auswahl aus unserem großen Angebot an Vintage Hüten. 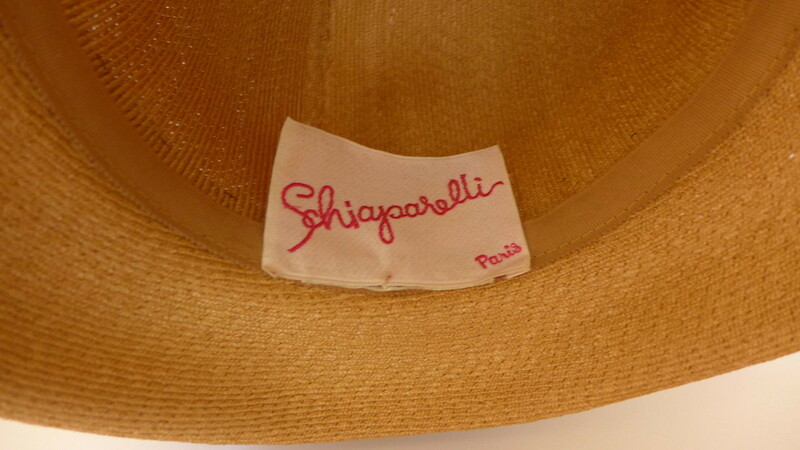 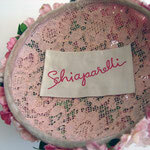 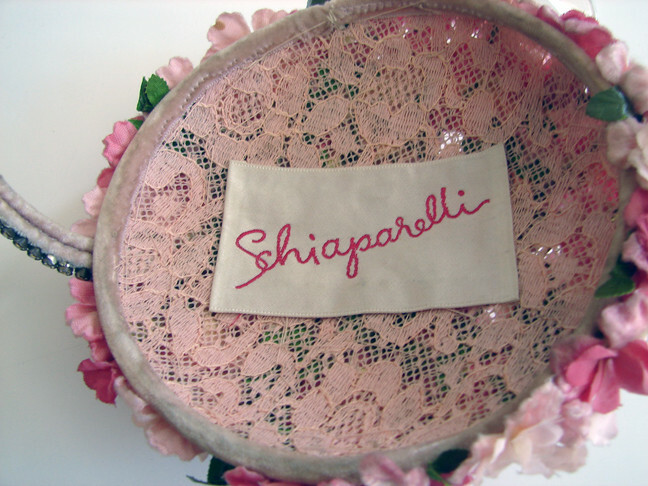 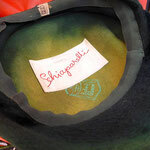 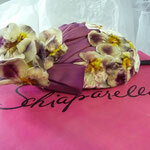 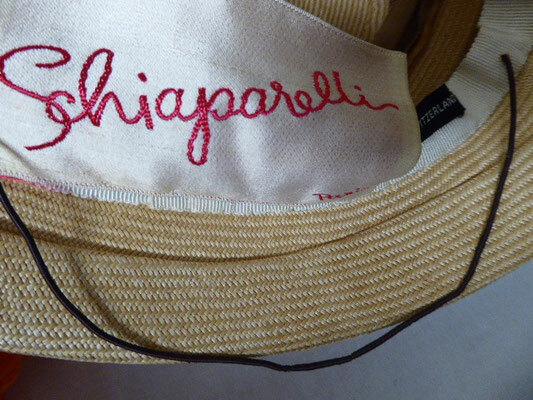 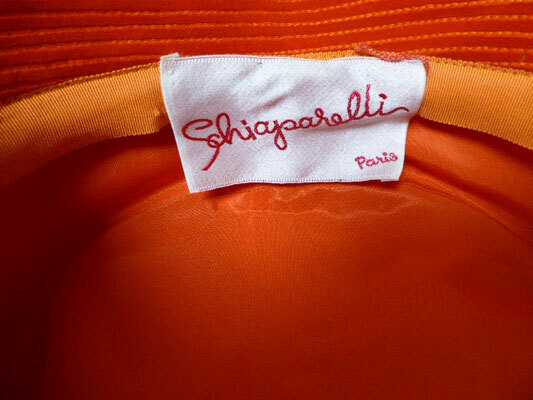 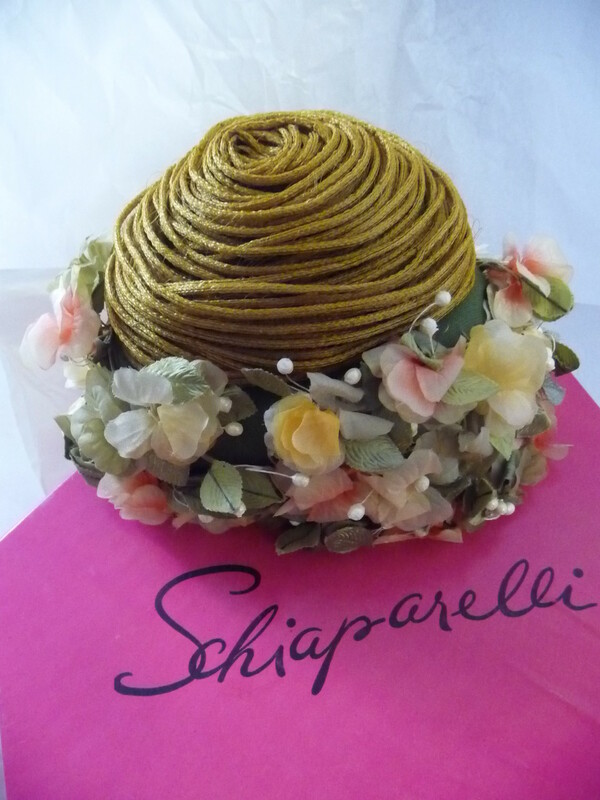 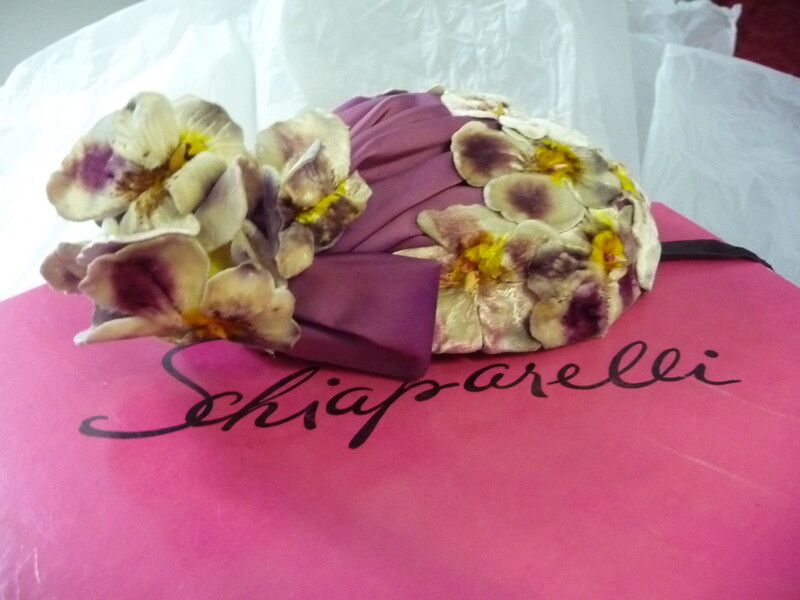 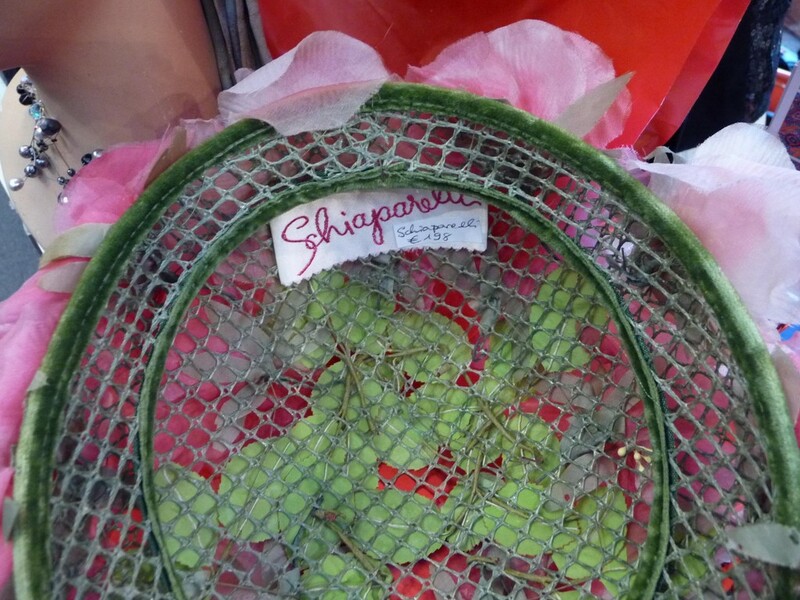 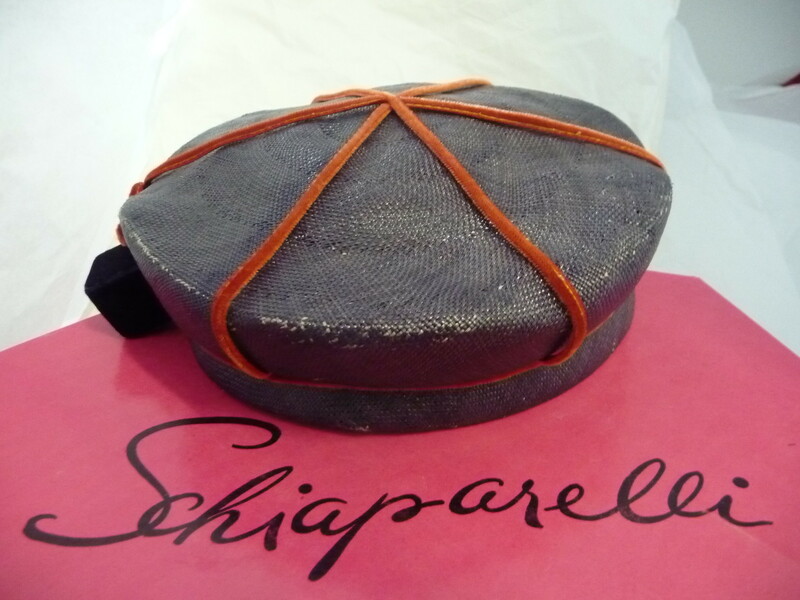 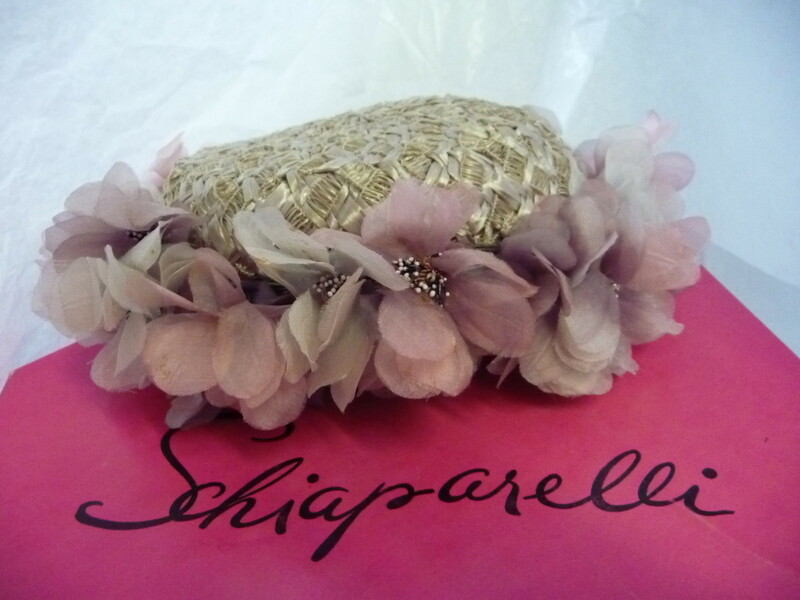 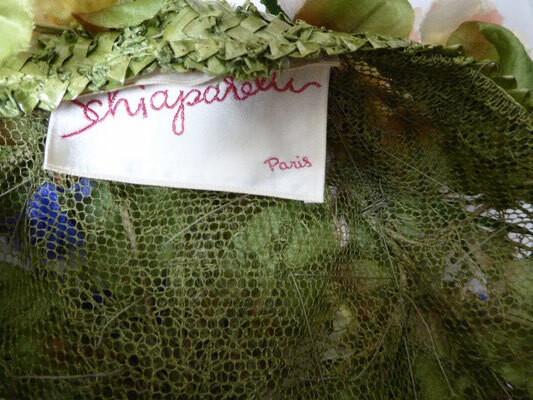 Authentische Hüte von der Designerin Elsa Schiaparelli. 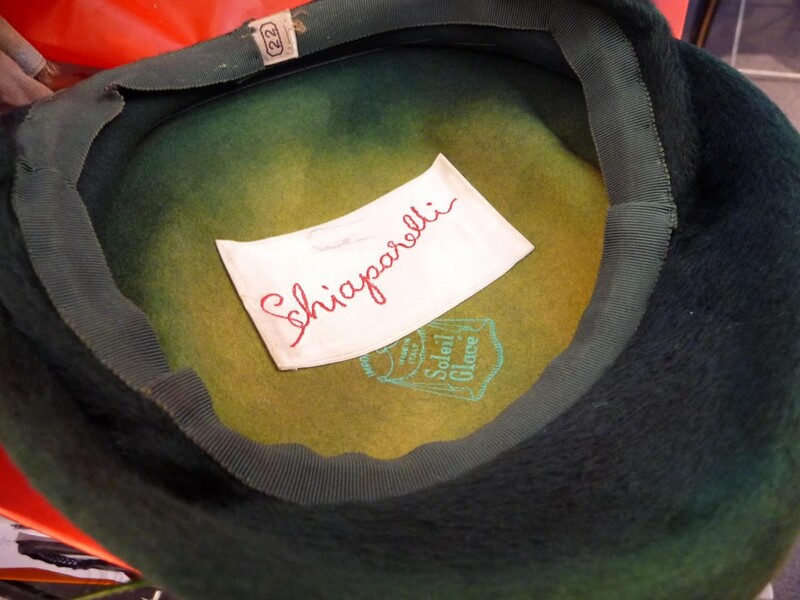 40er & 50er Jahre. 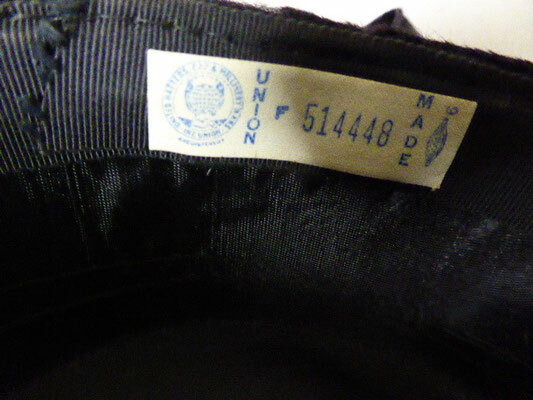 Preise auf Anfrage. IT'S ALWAYS SUMMER SOMEWHERE IN THE WORLD!!!!! 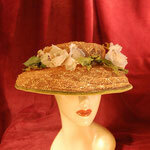 FLORENTINER, REAL FLORENTINER HATS. 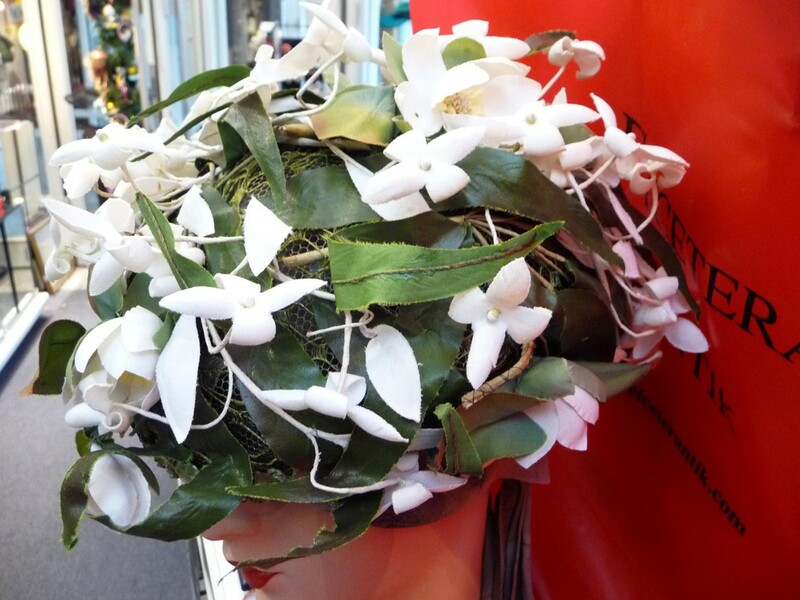 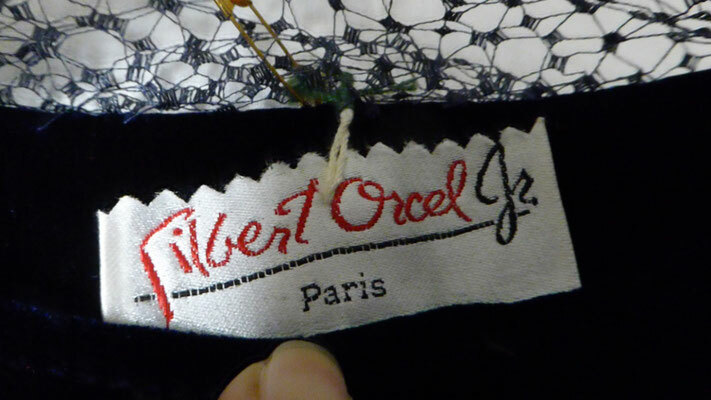 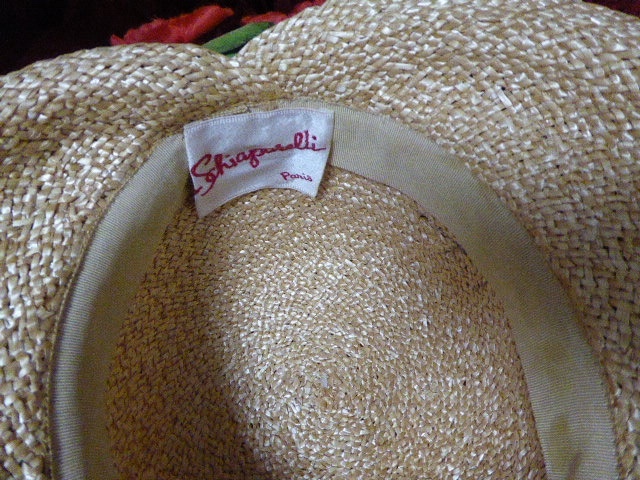 So hard to find, so rare......All hand made in Italy. 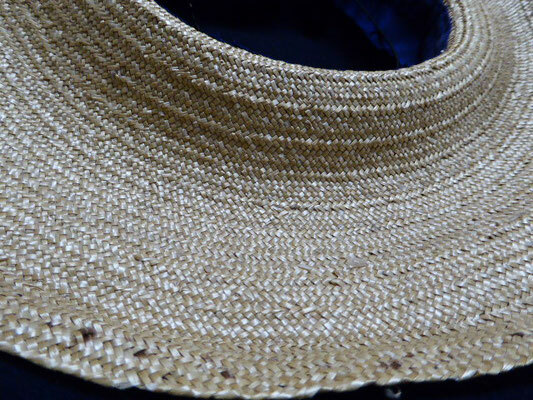 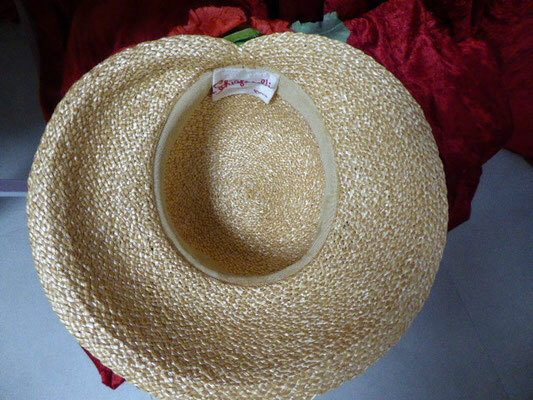 The processing of straw hats has a long and fascinating history dating back to the Middle Ages when braids were made out of the waste of the wheat harvest to use as headwear. 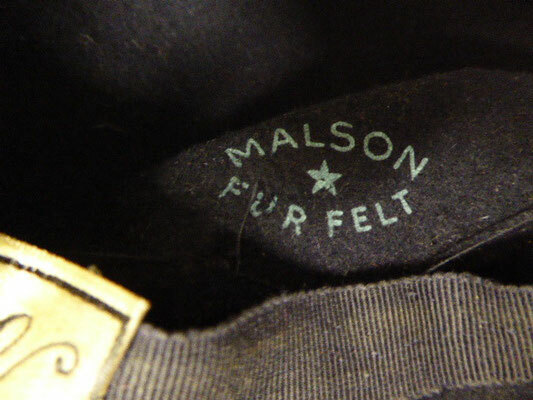 The first coarse and rudimentary examples were destined to spread and mark the history of fashion as we know it today. Starting in the early decades of the eighteenth century, Florence became a centre known and appreciated for its original and handmade creations. 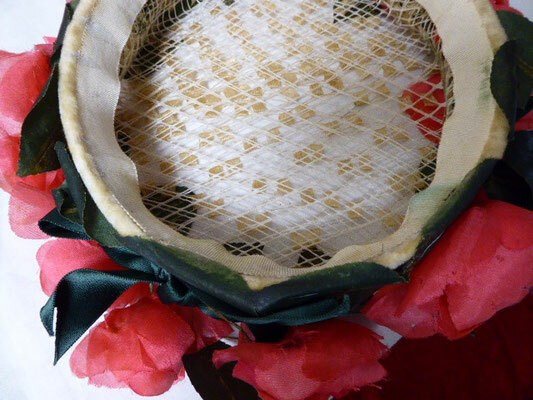 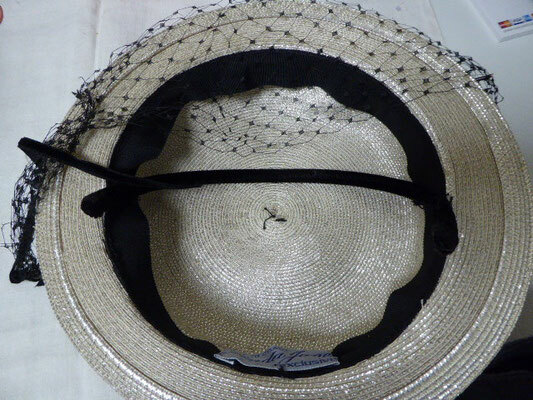 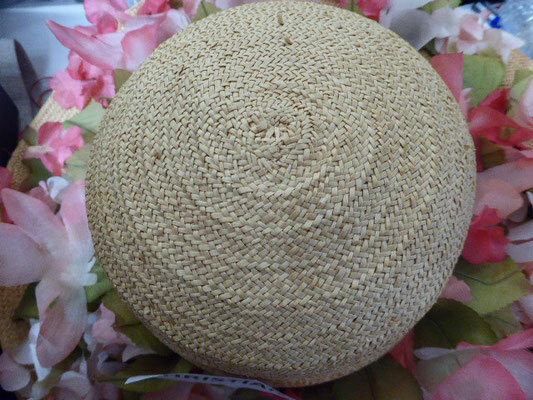 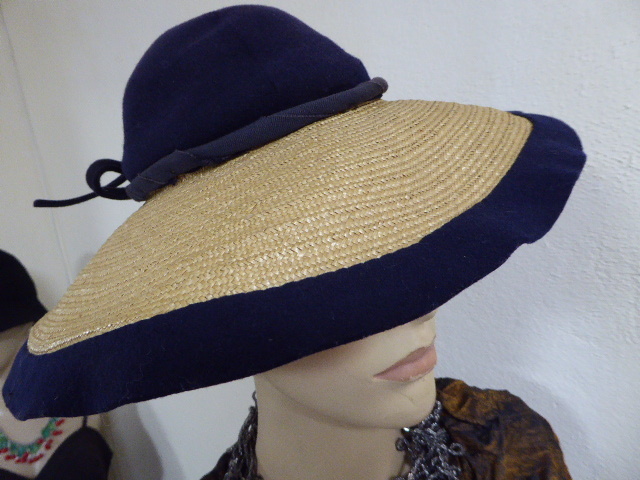 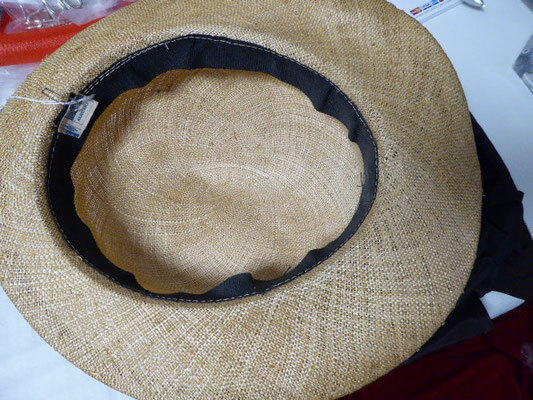 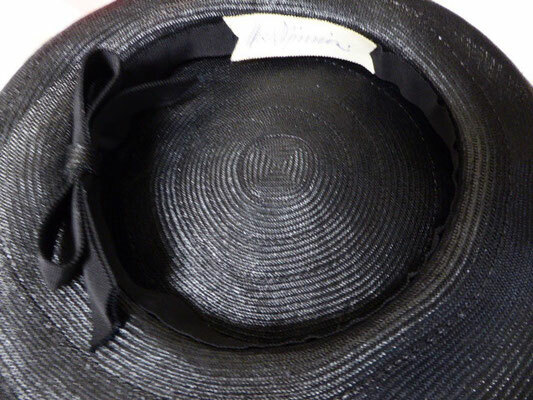 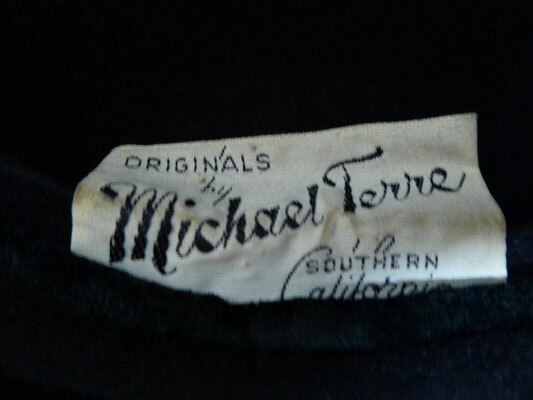 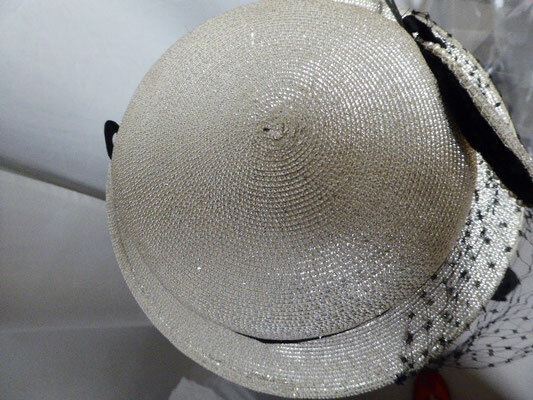 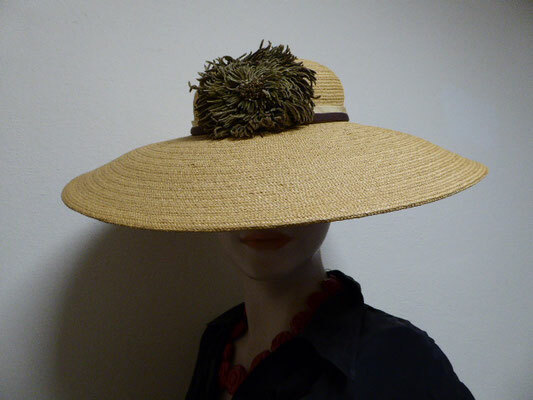 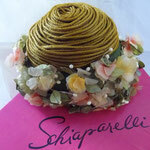 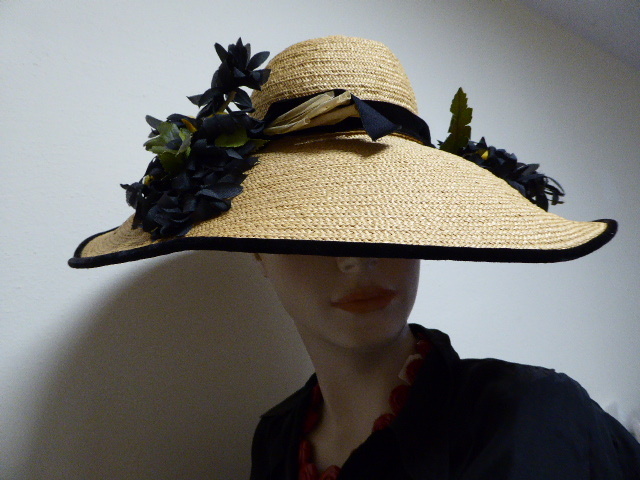 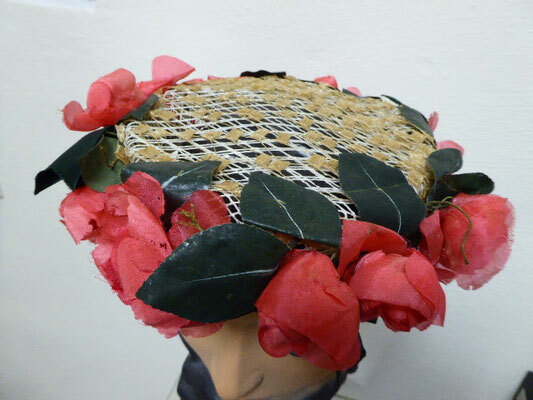 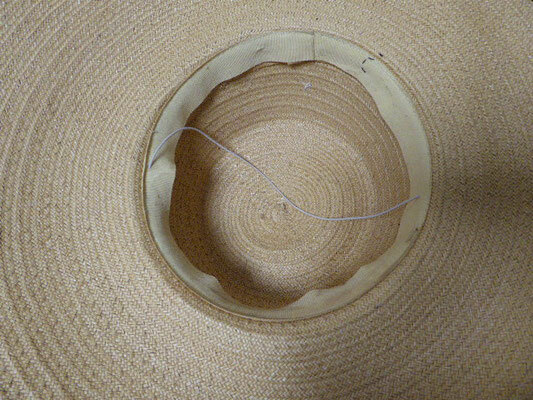 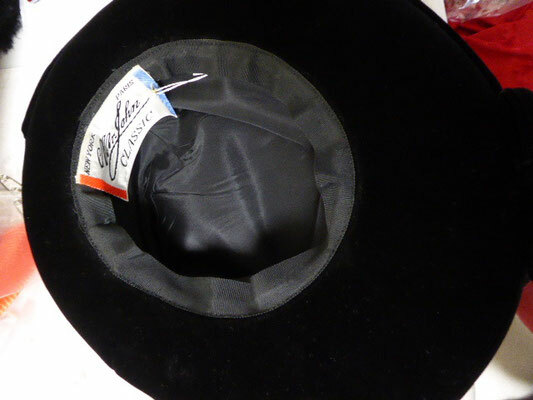 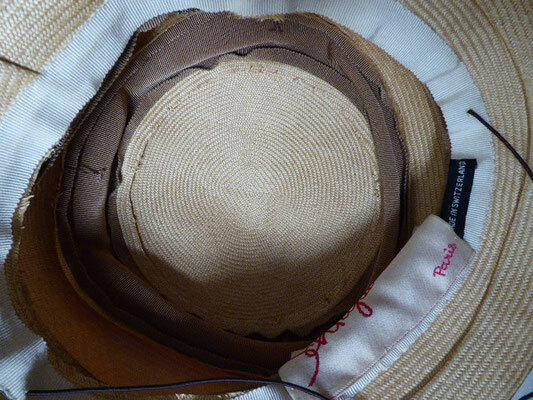 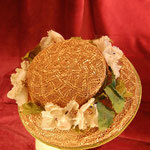 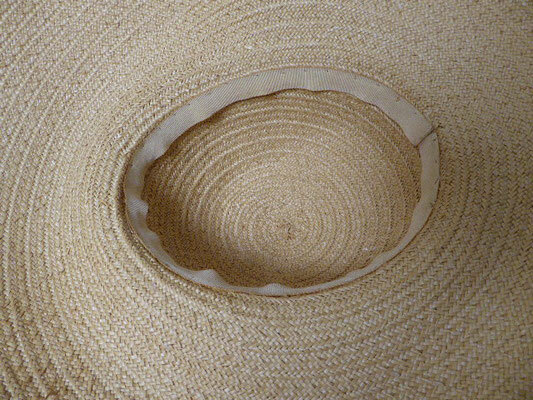 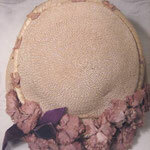 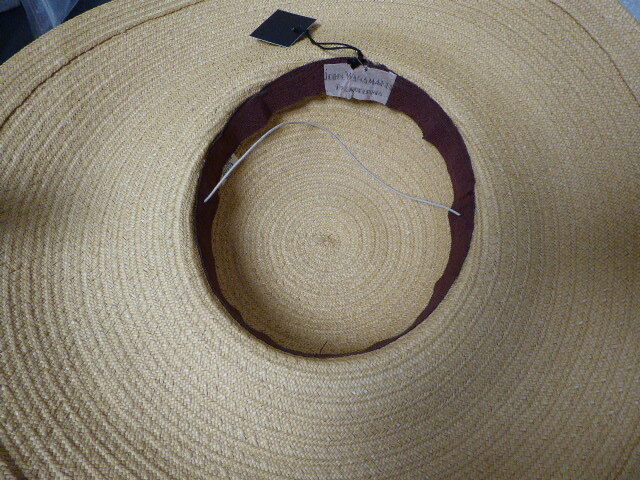 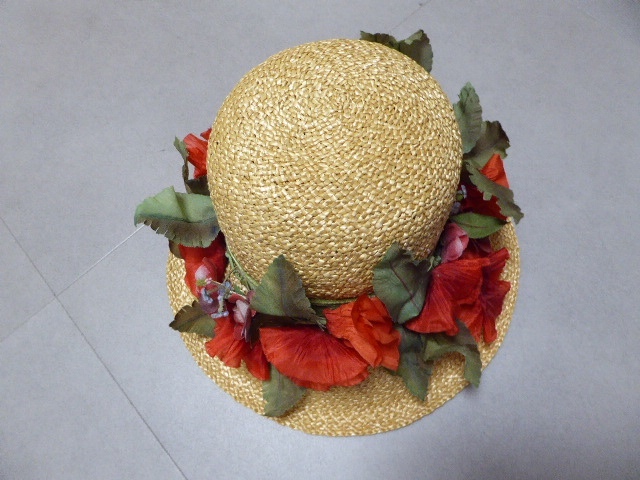 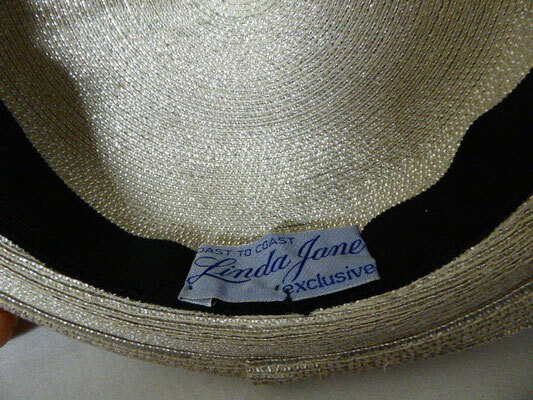 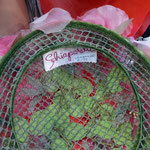 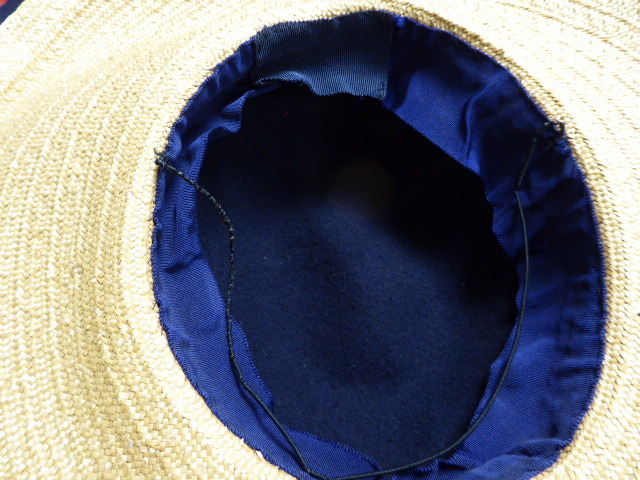 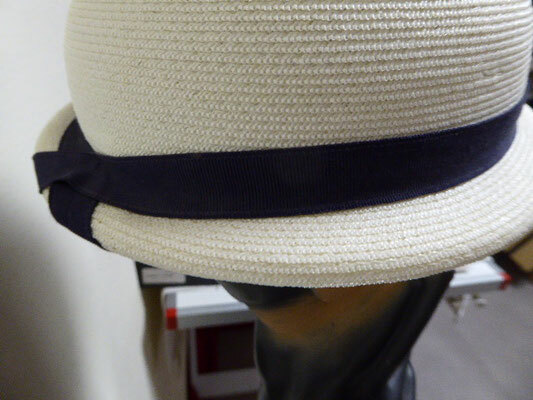 The Florentine straw hat becomes the first real historical Made in Italy hat, exported worldwide. 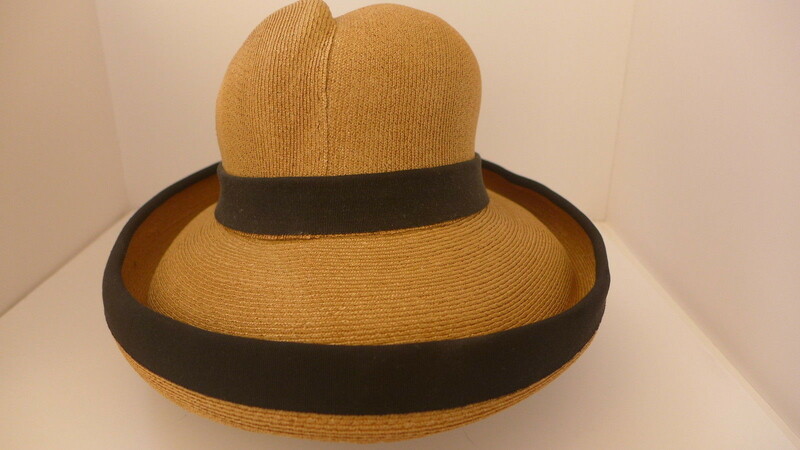 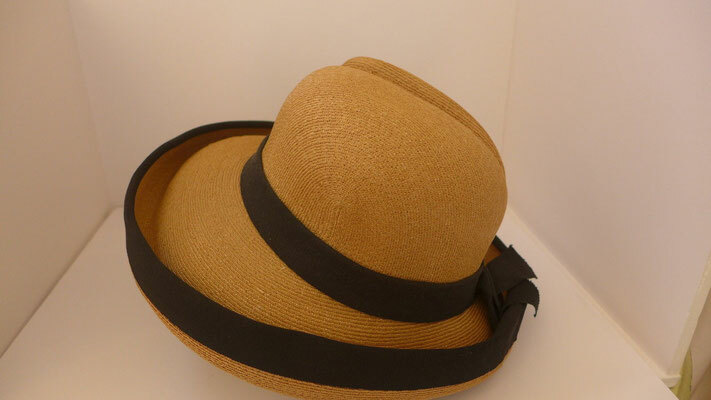 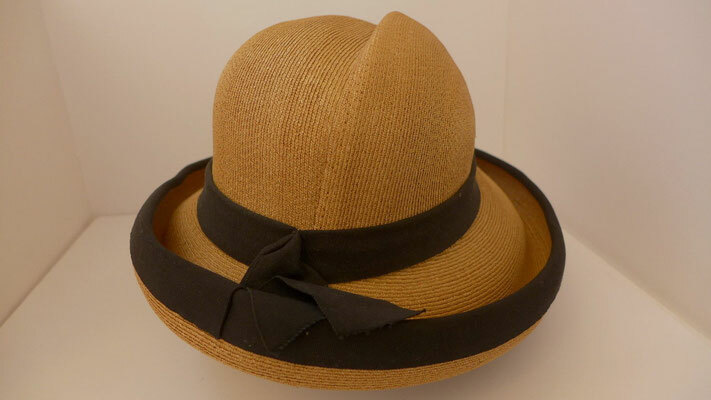 It is no coincidence that terms such Chapeaux de paille d'Italie or even Leghorns have become synonymous with the authentic Florentine straw hat throughout the Western world. 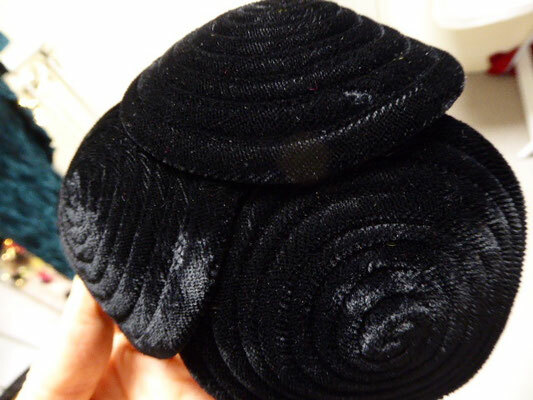 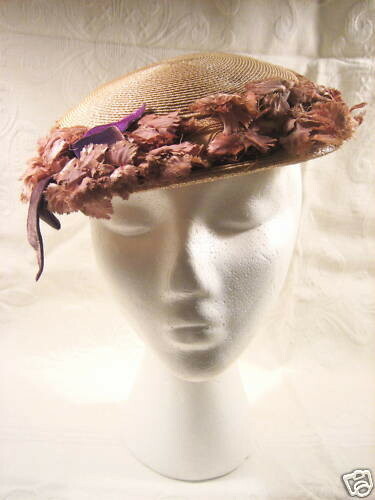 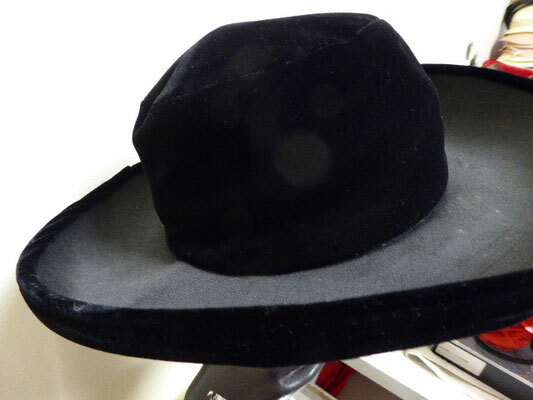 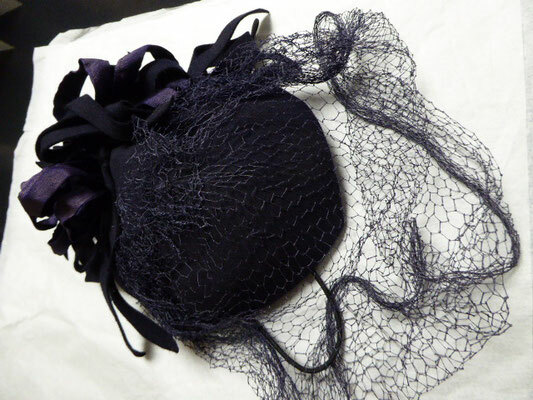 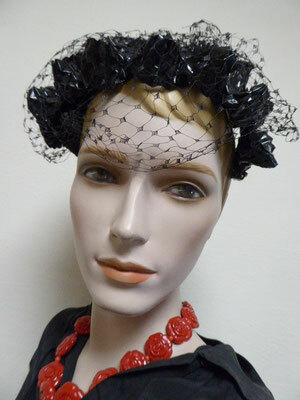 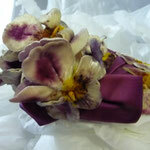 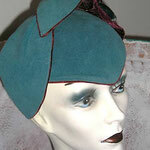 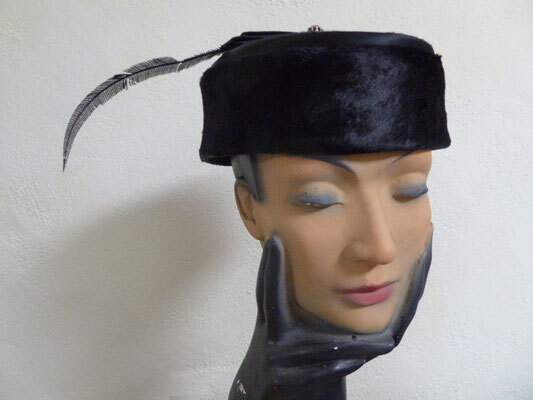 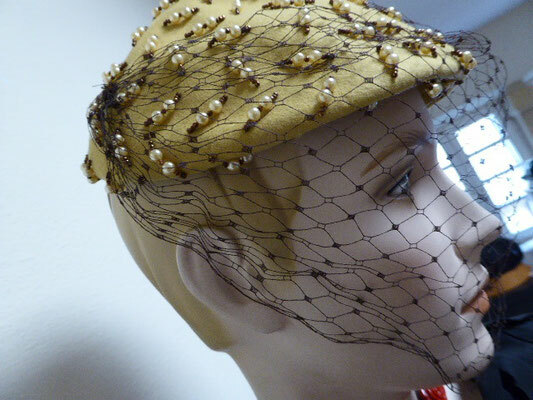 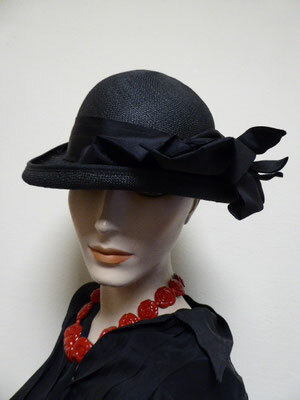 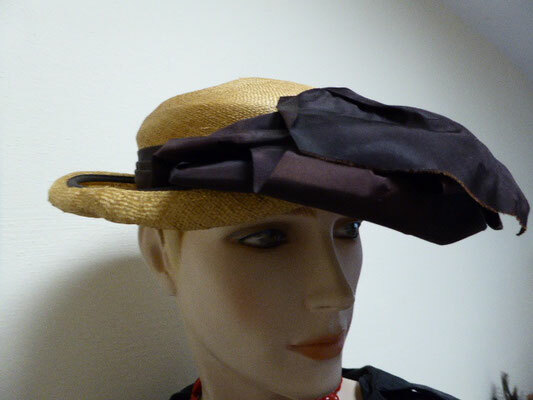 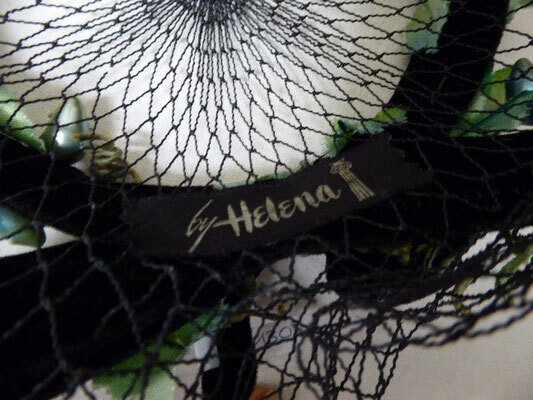 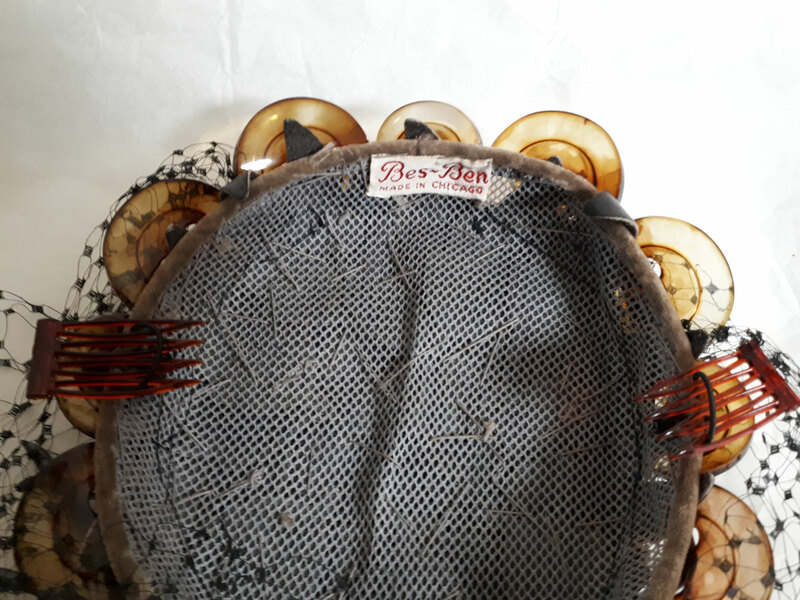 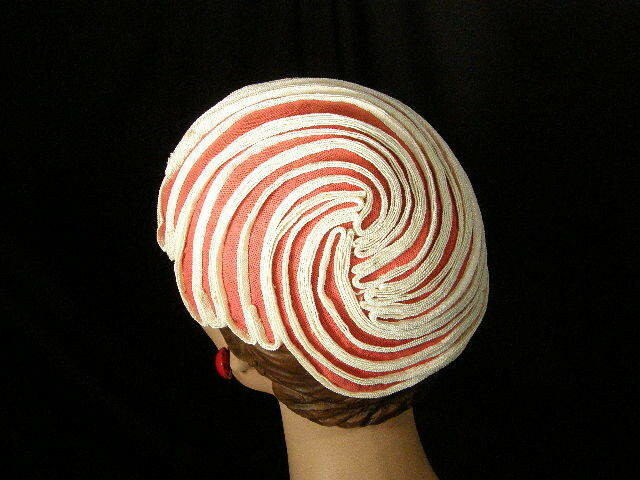 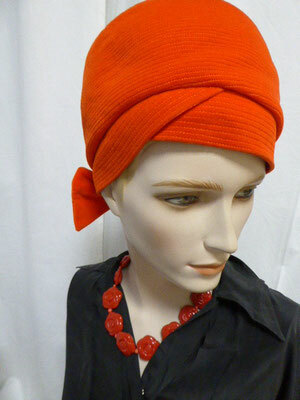 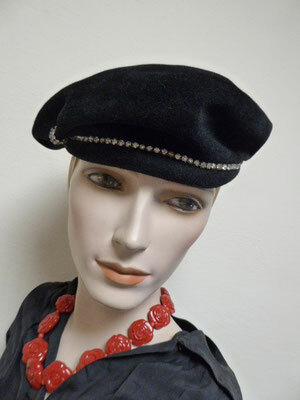 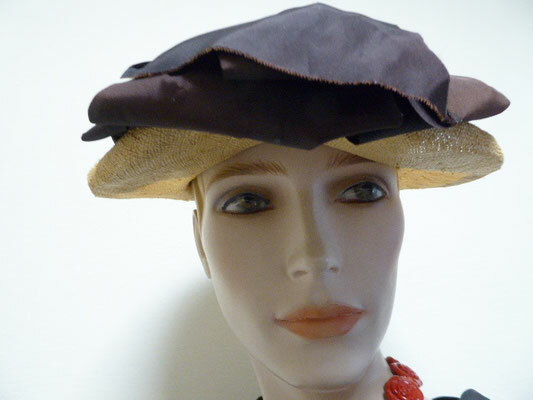 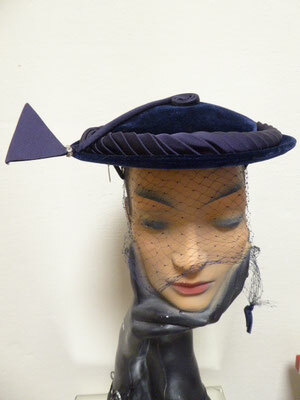 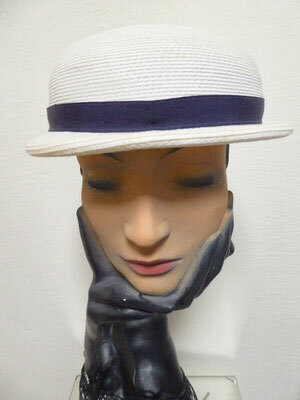 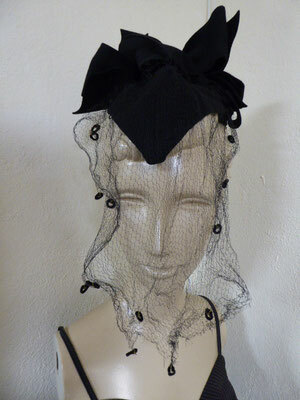 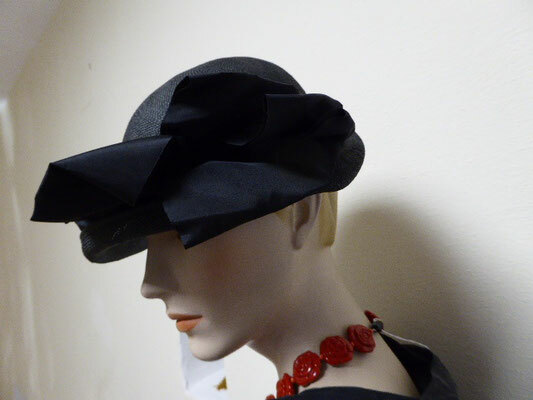 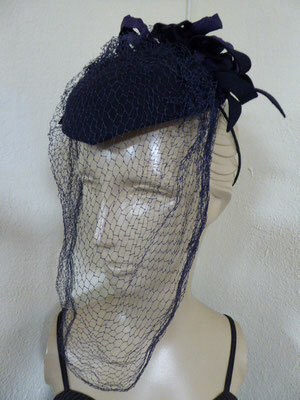 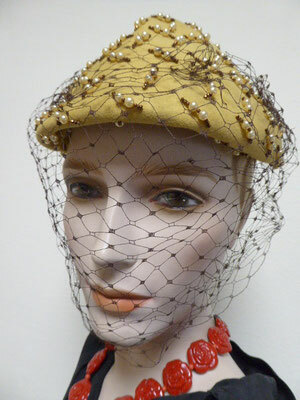 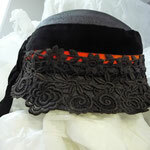 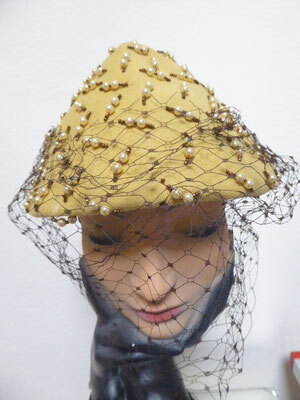 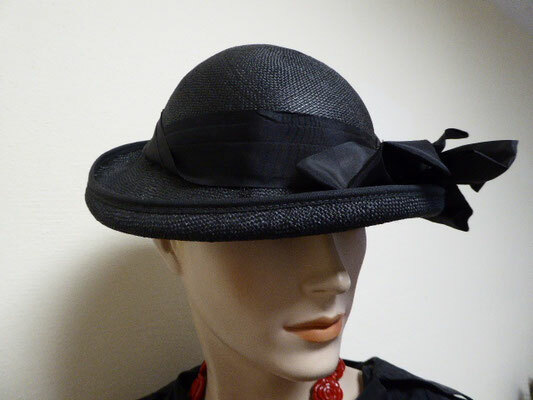 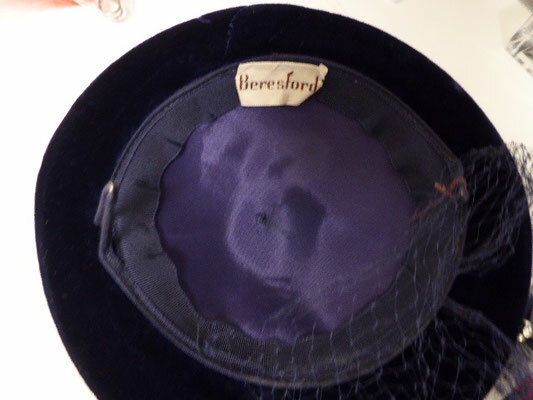 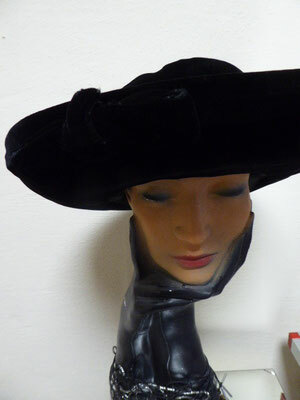 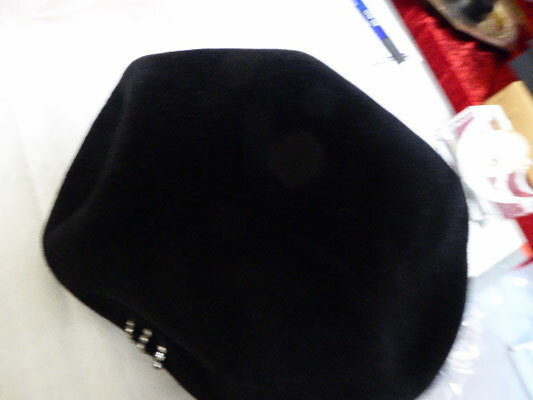 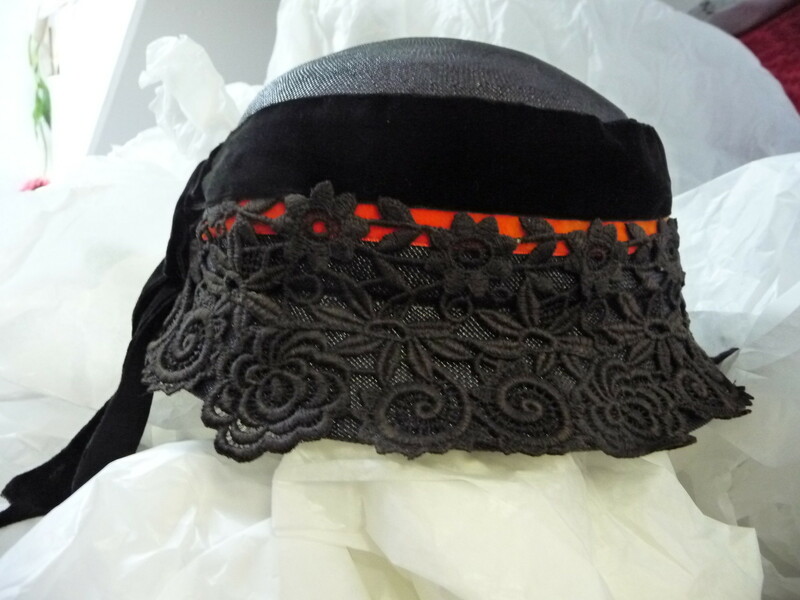 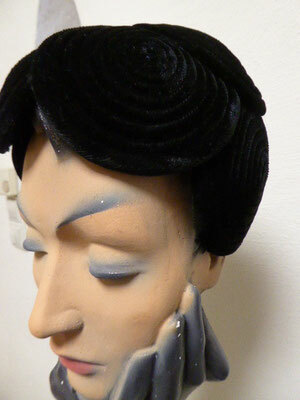 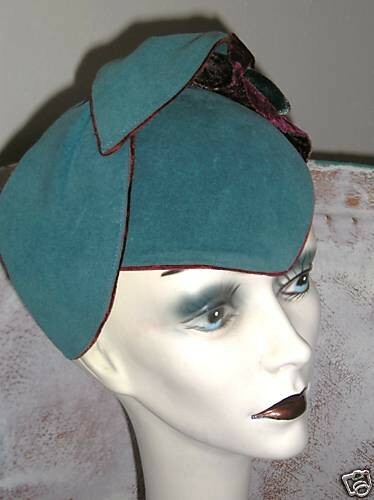 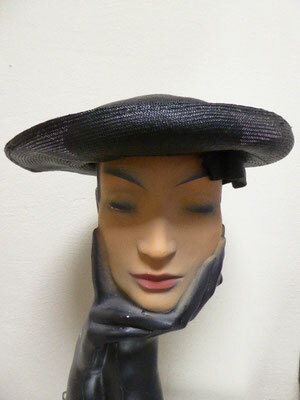 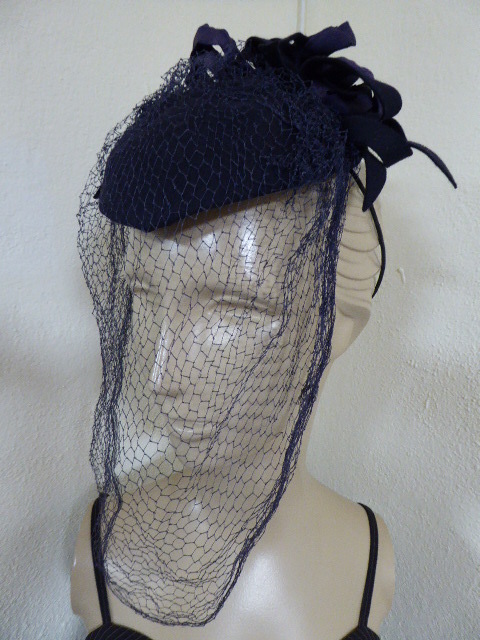 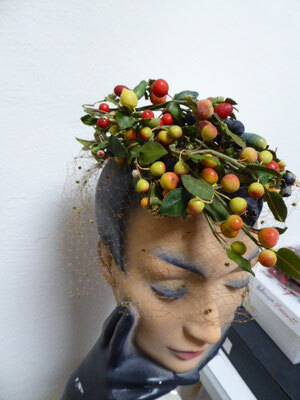 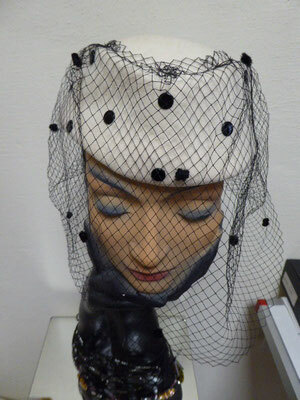 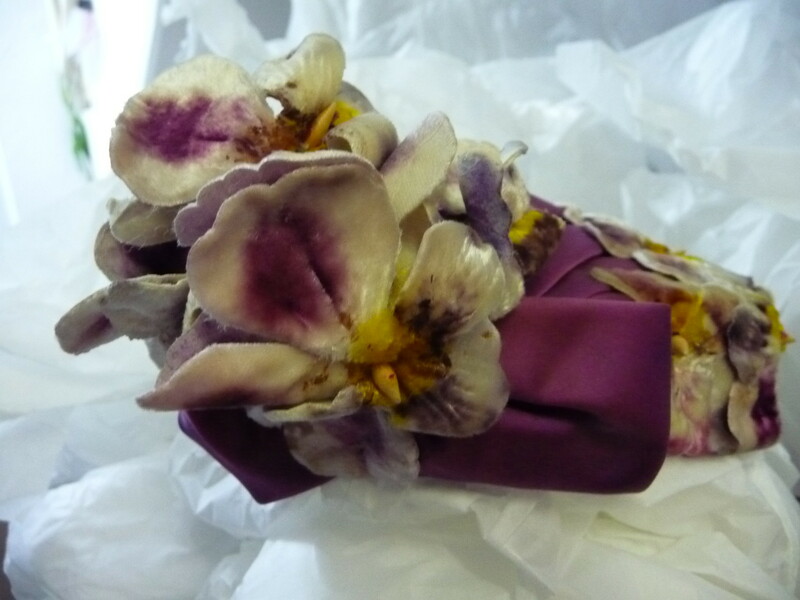 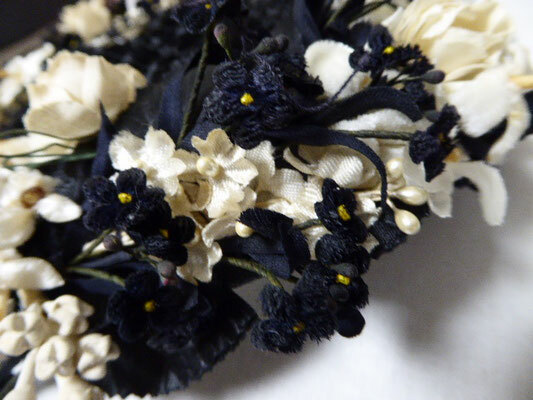 STUNNING, AMAZING, RARE, FASCINATING - this BES-BEN hat from the Forties is in perfect condition. 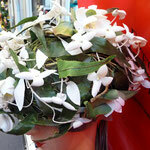 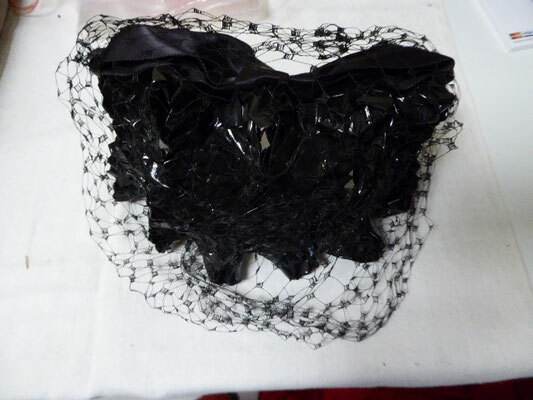 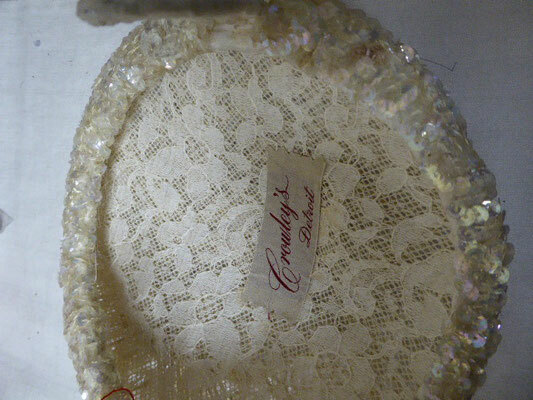 Barely if ever worn, there are no defects at all and the veil is completely whole and intact. 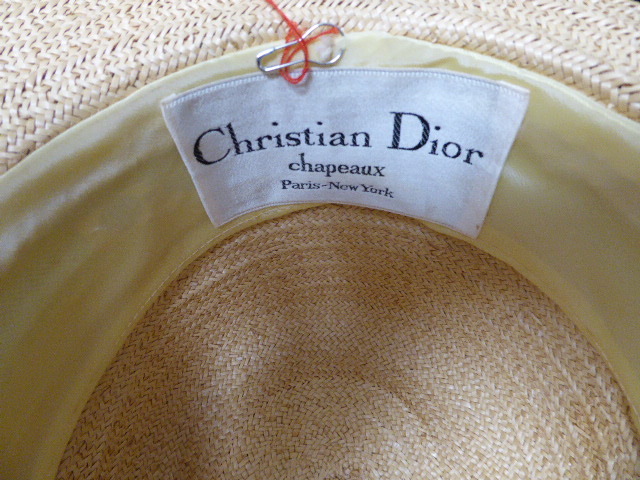 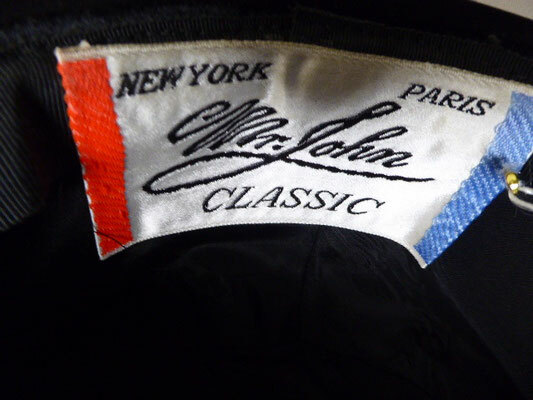 Very unusual for a hat of this age. 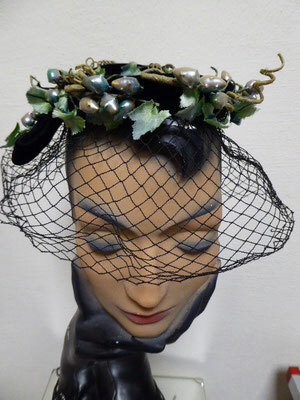 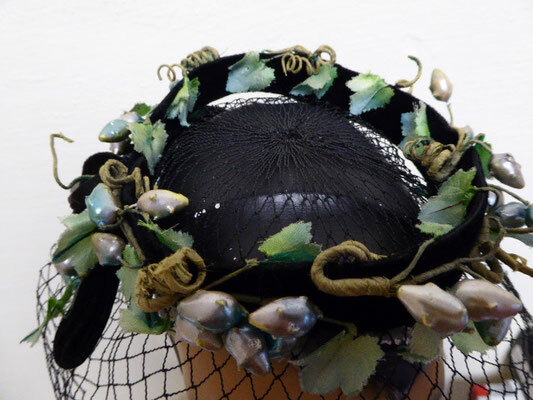 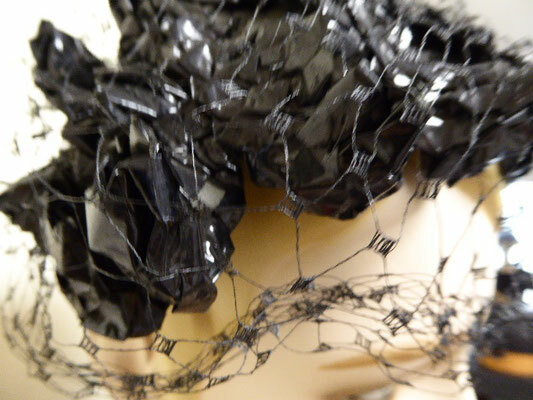 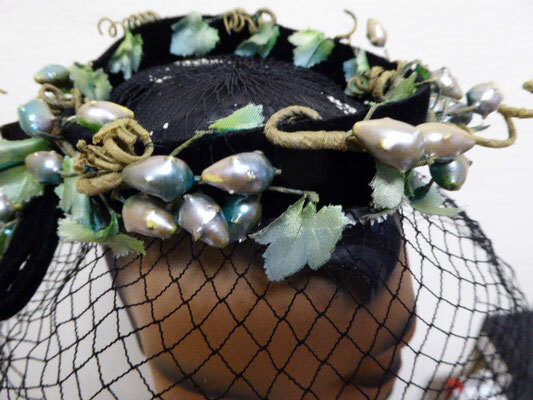 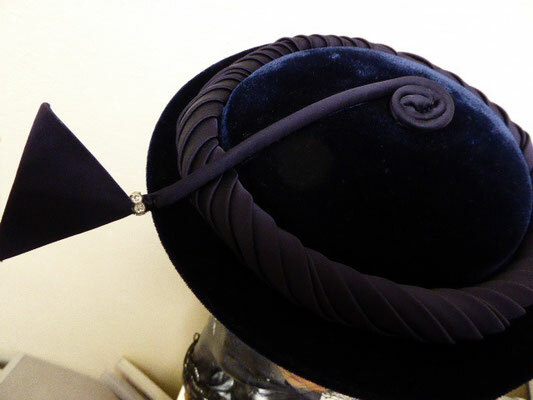 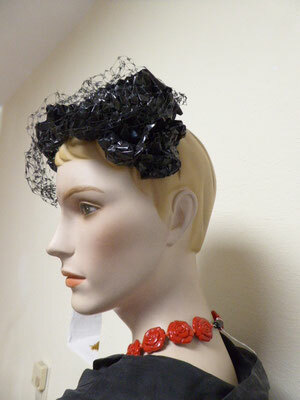 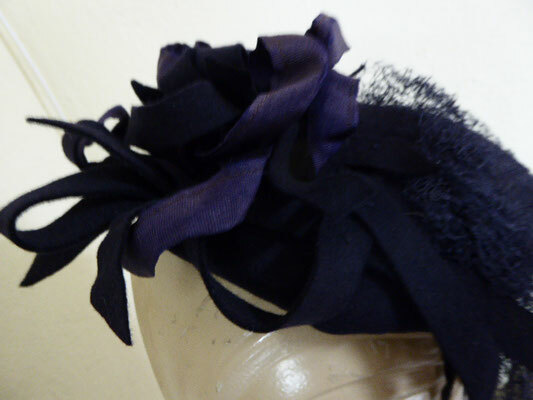 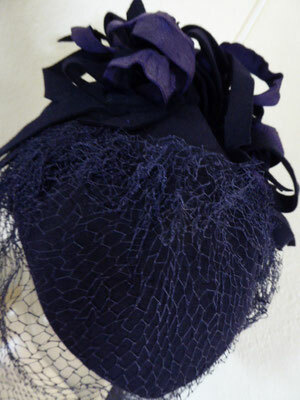 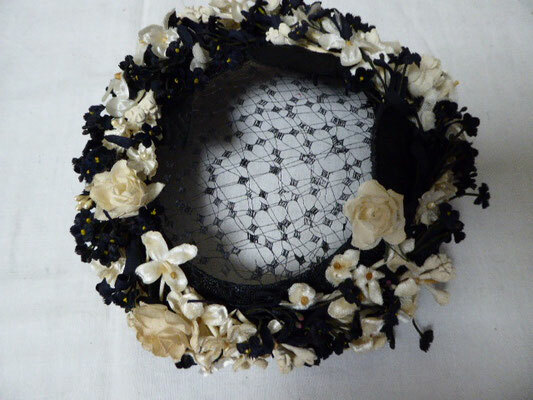 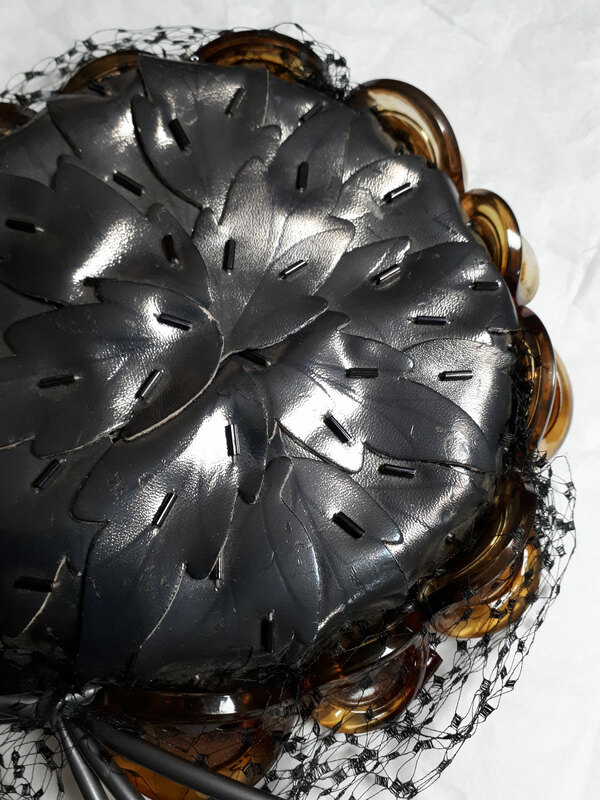 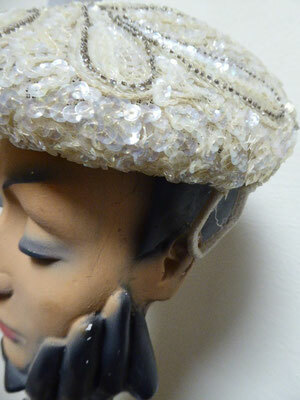 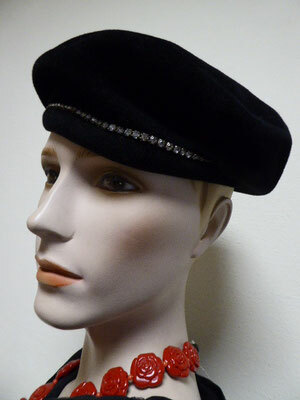 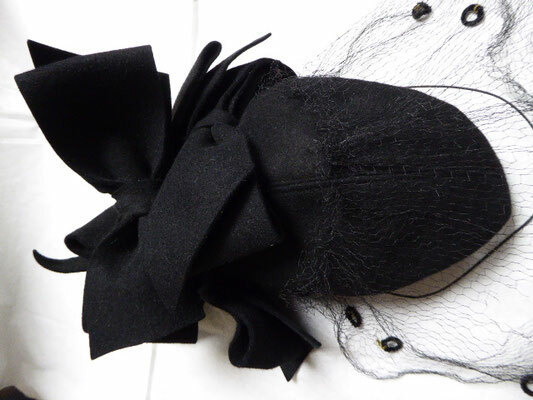 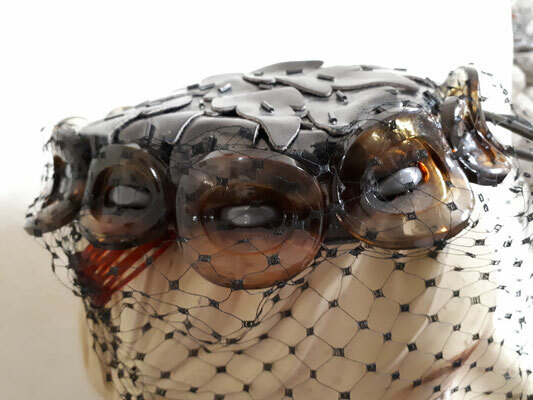 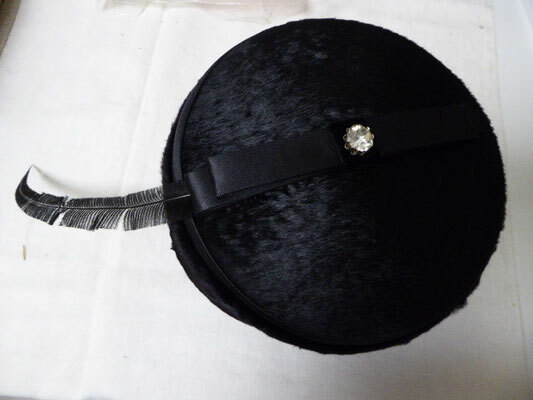 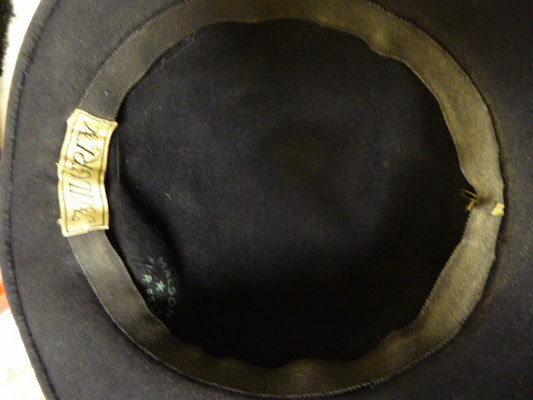 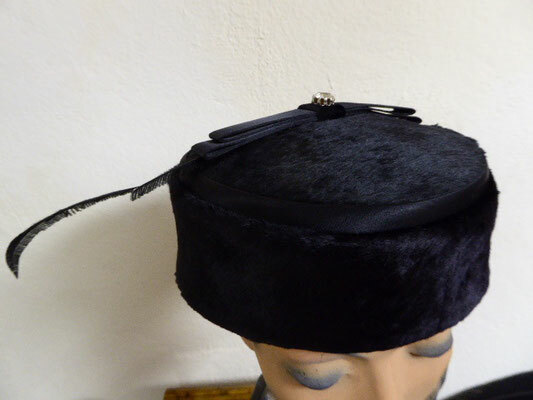 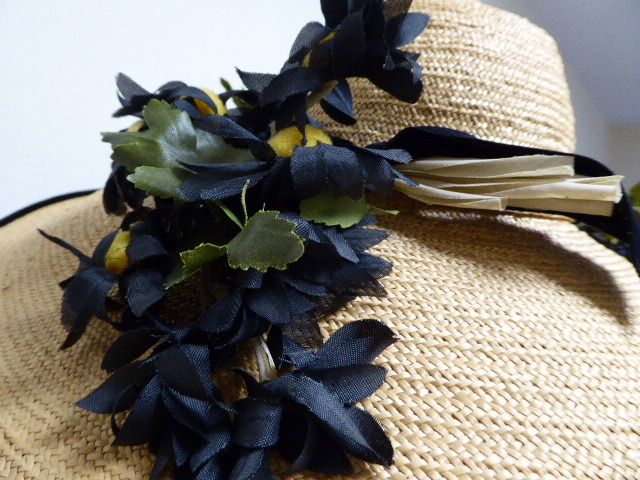 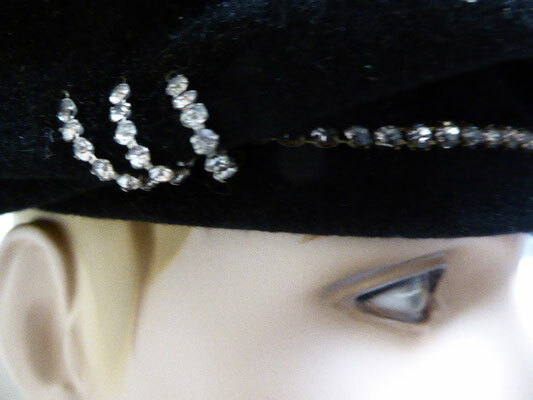 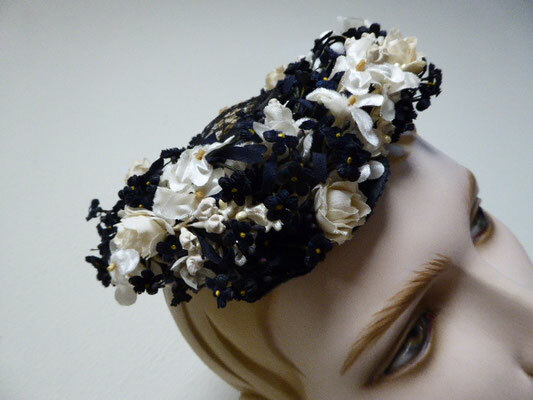 The crown of the hat is swathed with lacquered shiny grey leather leaves, each topped with a black glass bugle bead. 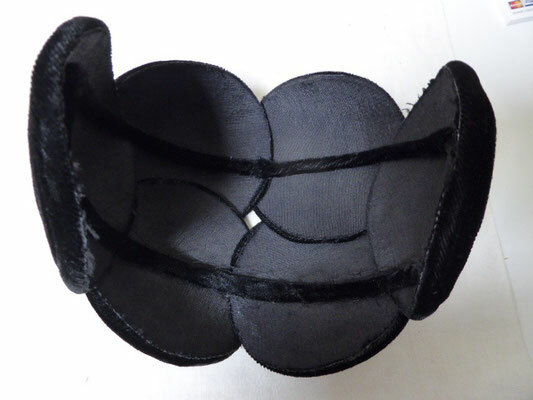 The rim is covered with 12 bakelite or lucite ring elements and at the side there is a grey tubular plastic bow. 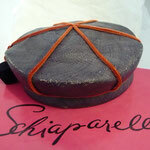 Grey veiling completes this stunning piece of history. 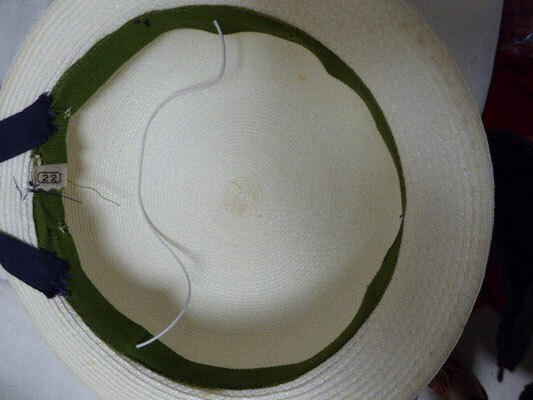 Two little combs for attaching the hat are inside the rim.....typical of the time. 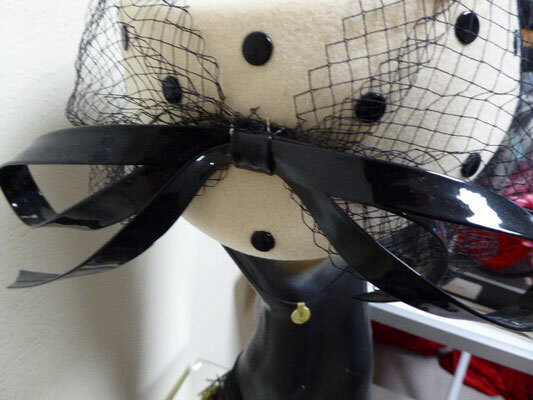 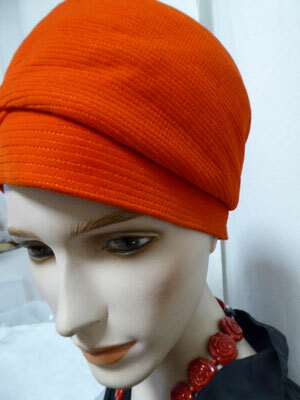 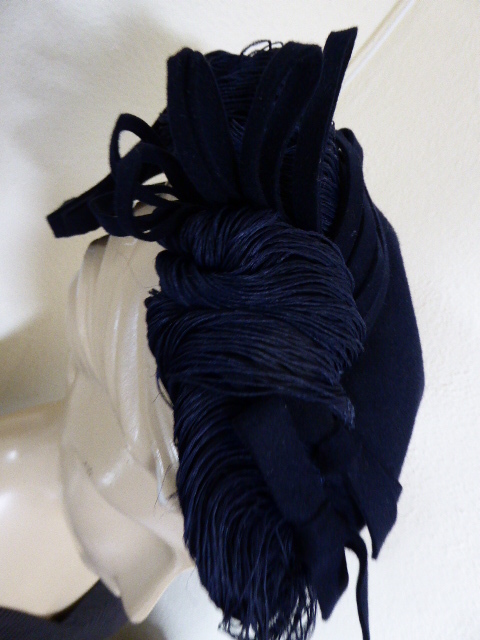 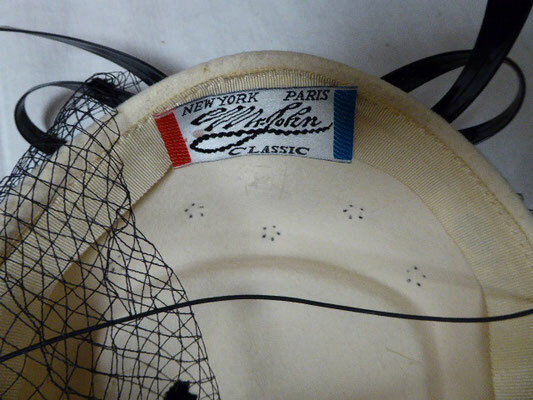 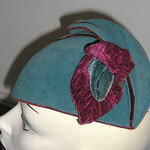 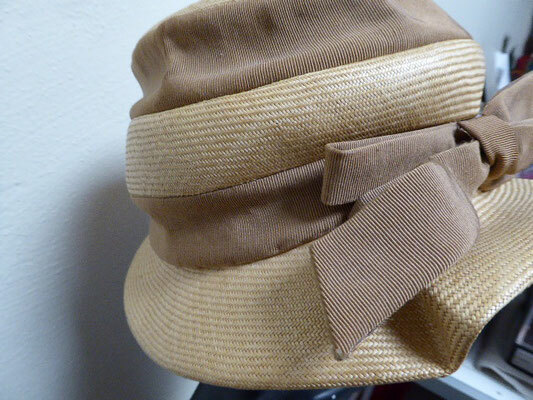 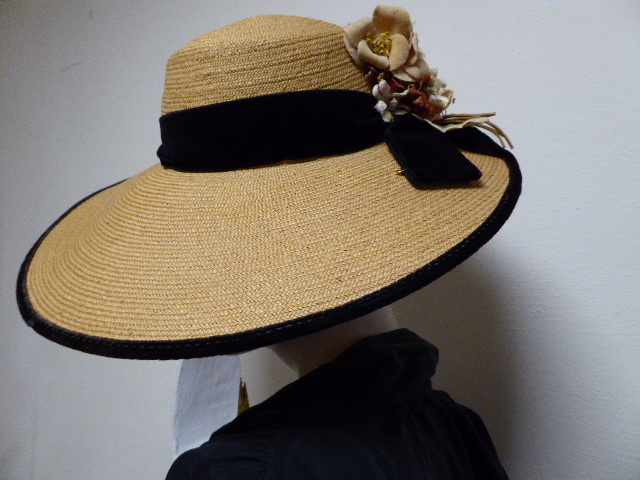 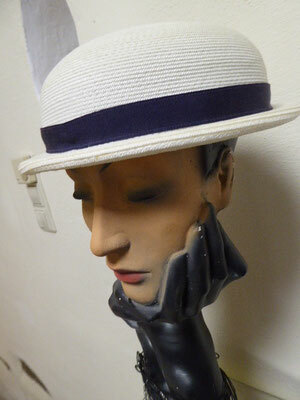 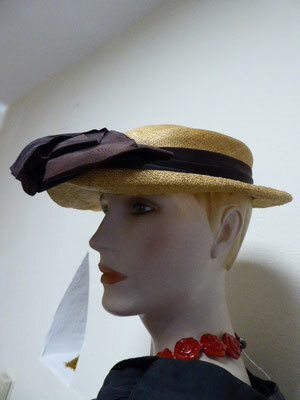 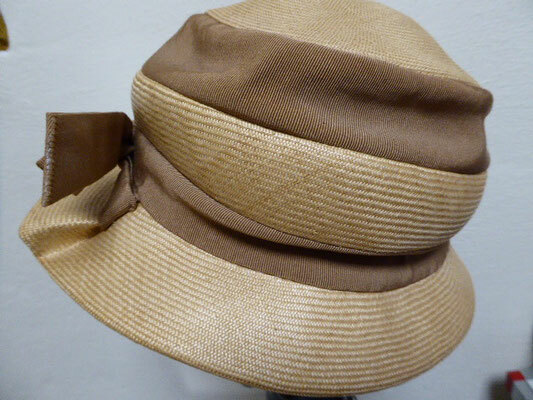 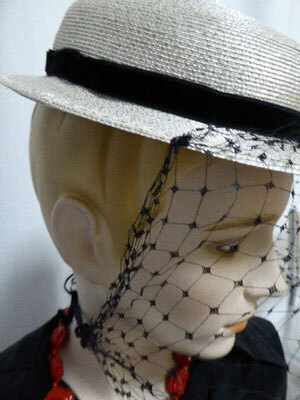 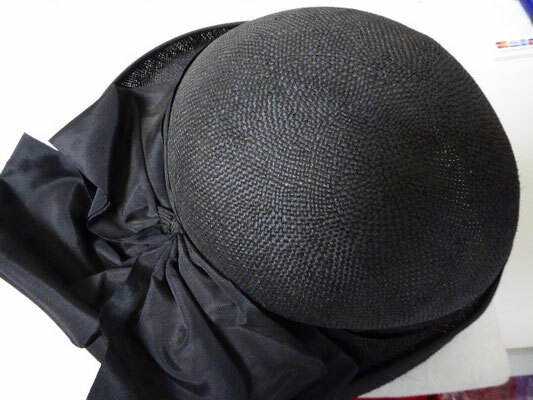 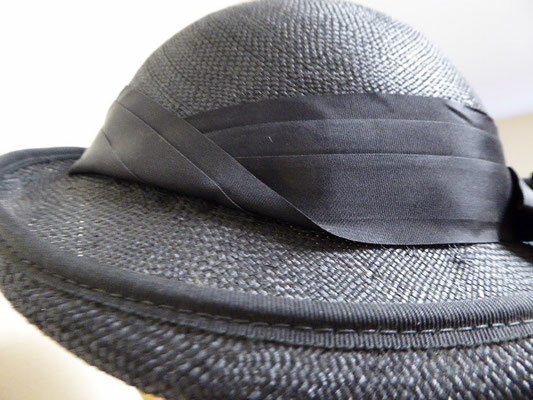 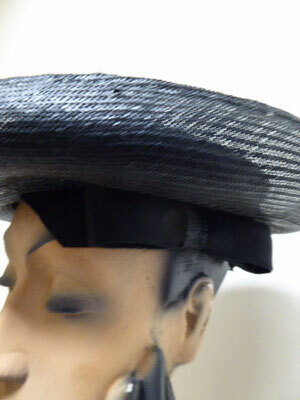 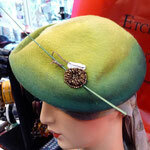 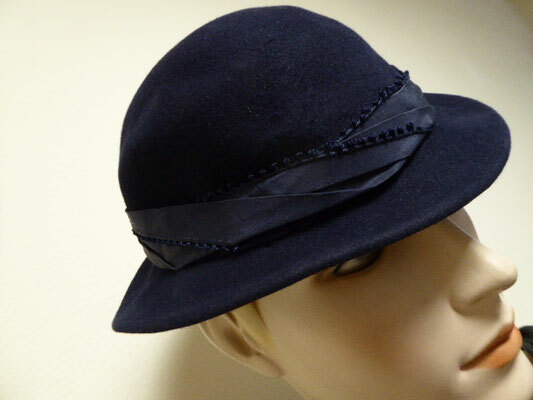 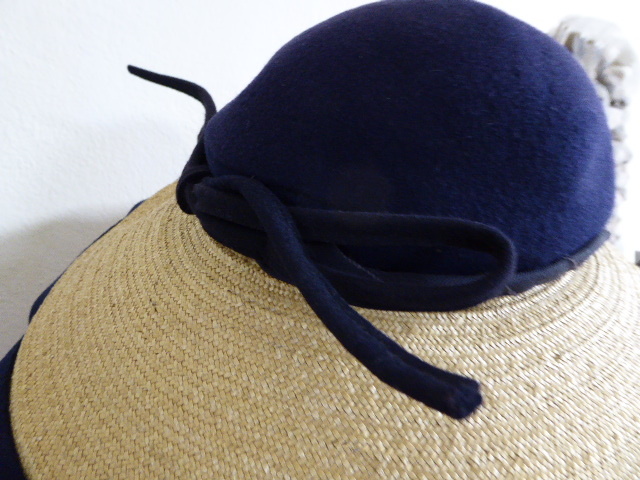 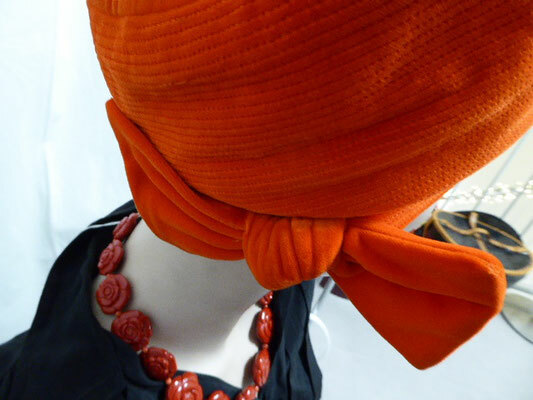 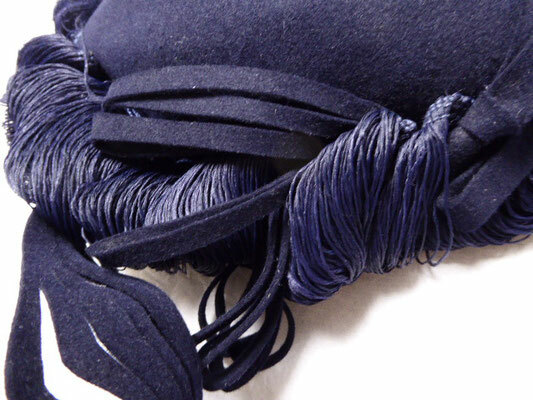 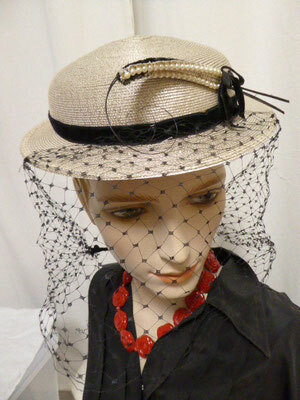 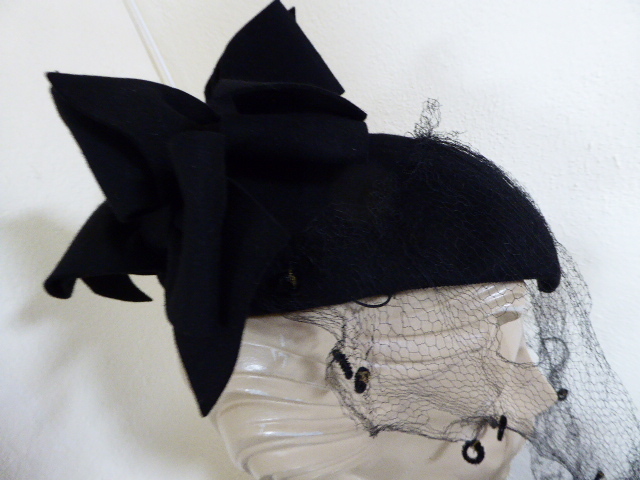 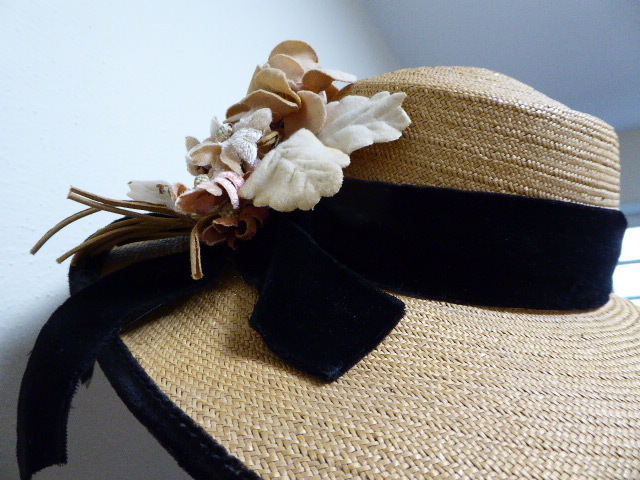 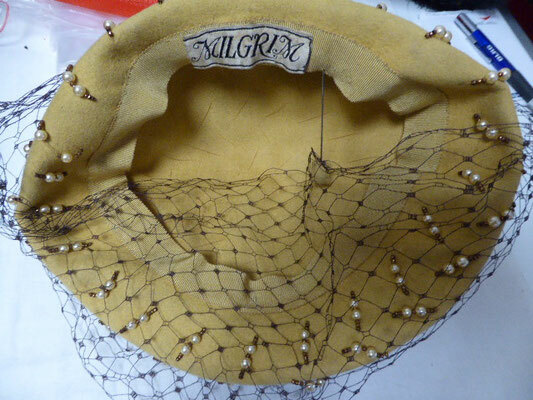 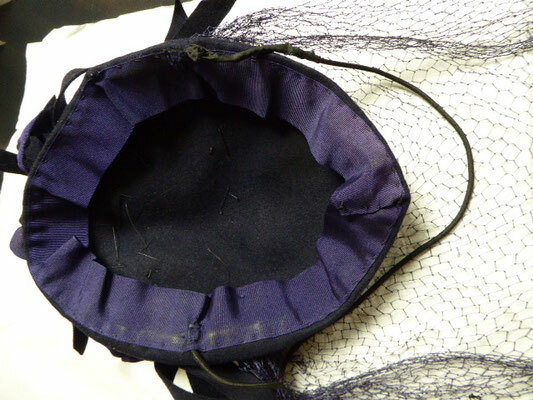 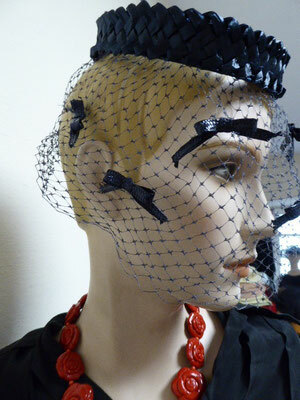 Today we would attach a length of hat elastic, which would anchor the hat under your hair at the nape of your neck. 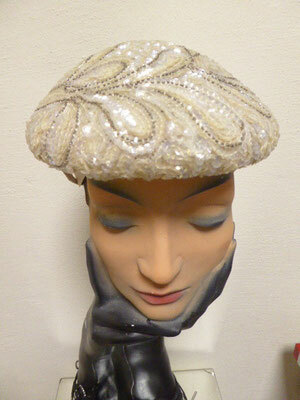 Treat yourself to a really museal piece of art!!! 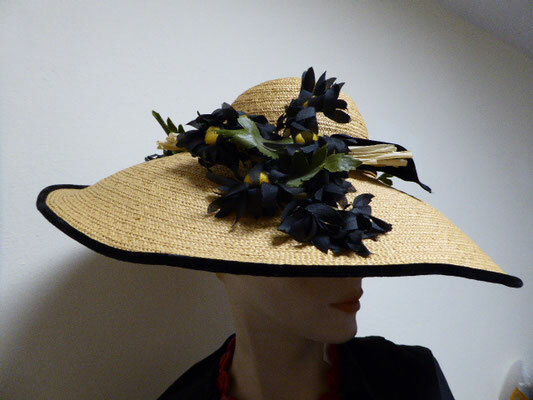 "Known for his elaborate, humorous, and flamboyant creations, Benjamin B. Green-Field (1898-1988), the creative genius behind the Bes-Ben label, and his sister Bessie, designed hats using a variety of everyday objects and a wide array of unusual trimmings. 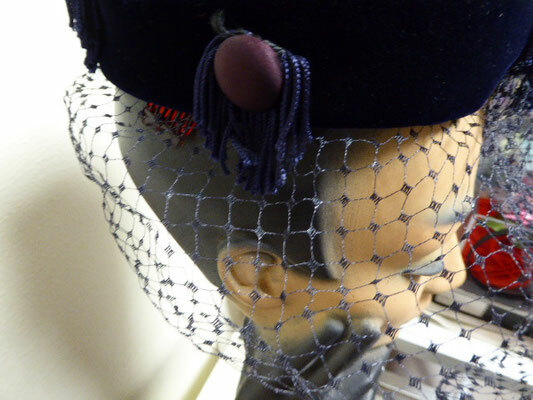 The hats were adorned with bizarre items such as fake cigarettes, little stuffed animals, plastic fruits and vegetables, and a range of bejeweled and decorative objects. 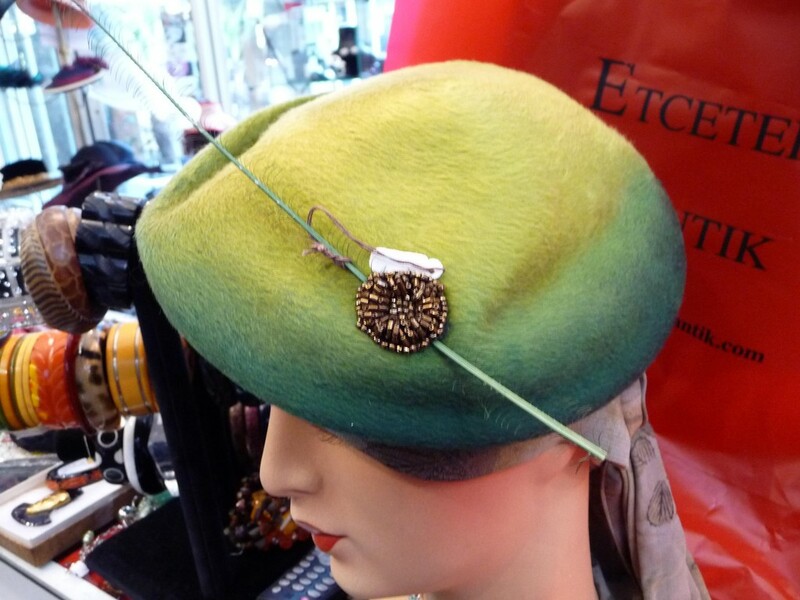 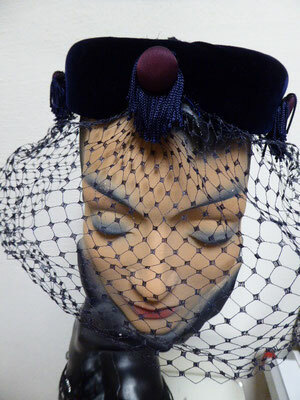 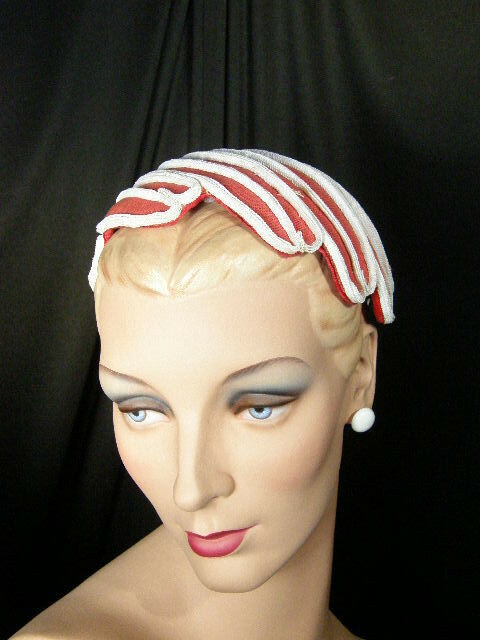 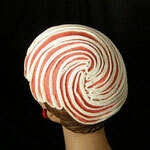 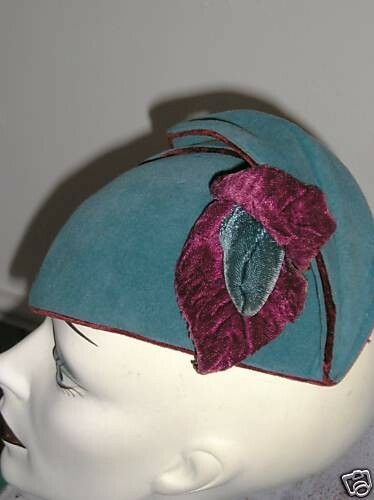 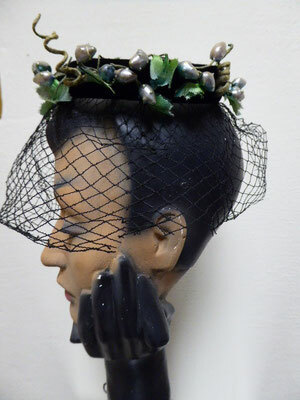 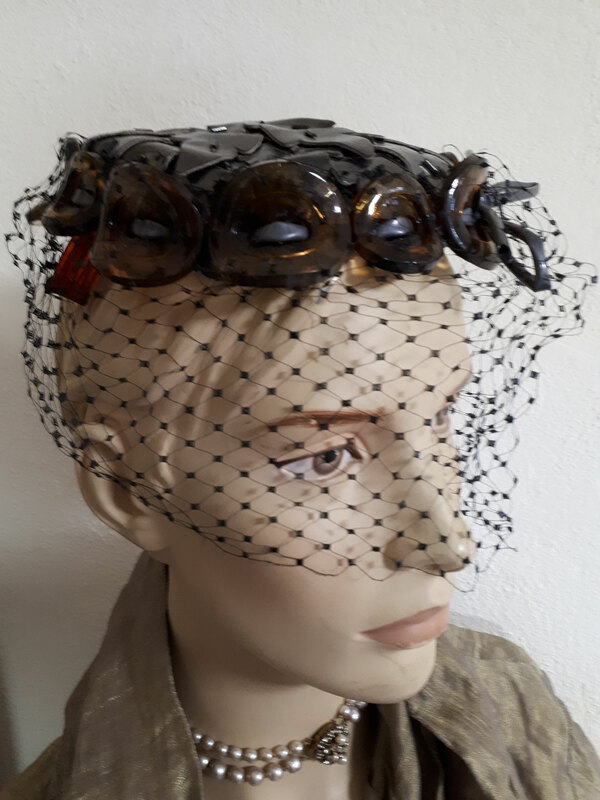 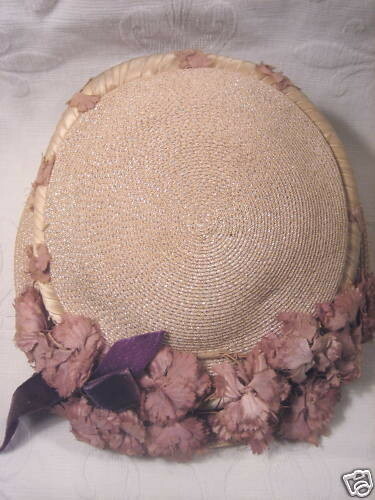 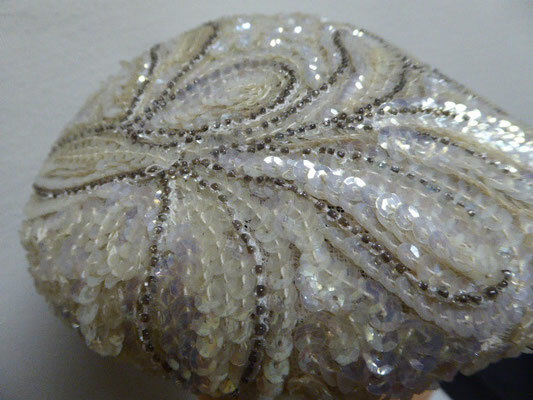 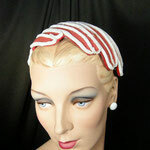 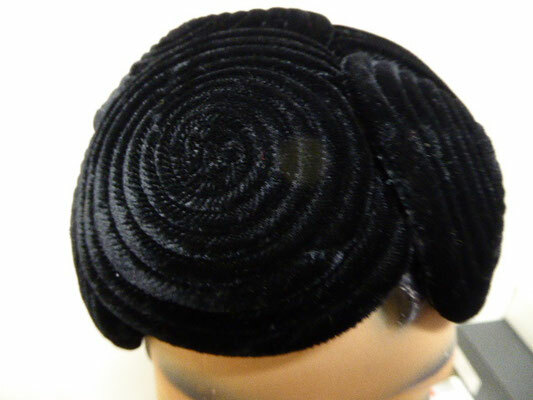 Bes-Ben hats decorated the heads of fabulous women from 1919 through the 1950s, very popular with celebrities like Elizabeth Taylor and Judy Garland. 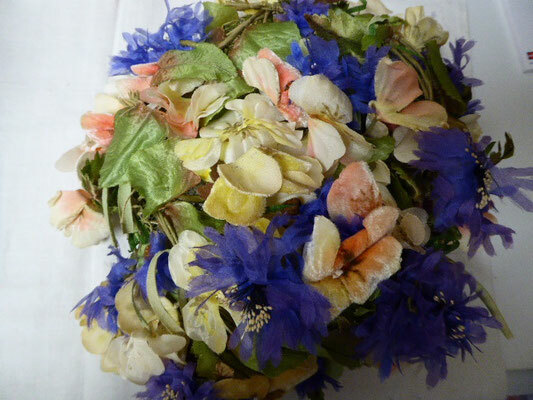 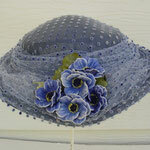 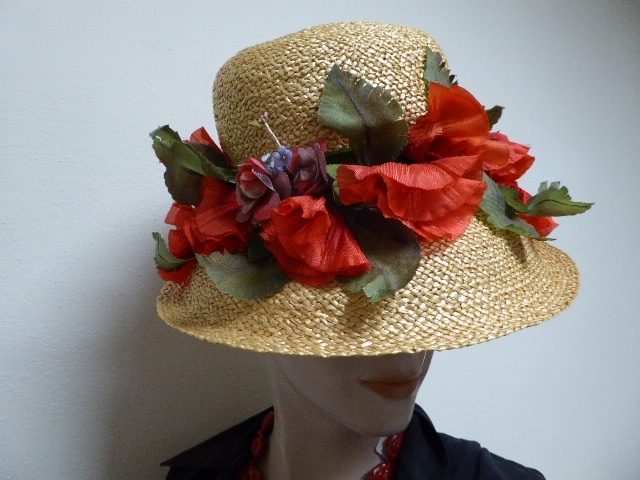 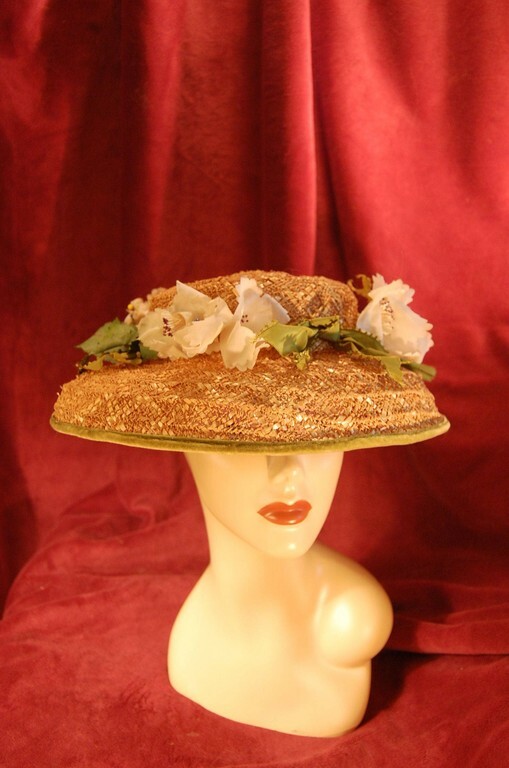 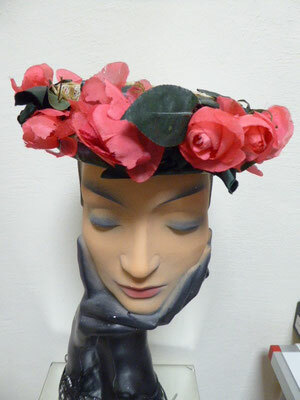 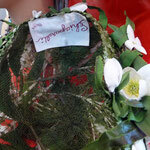 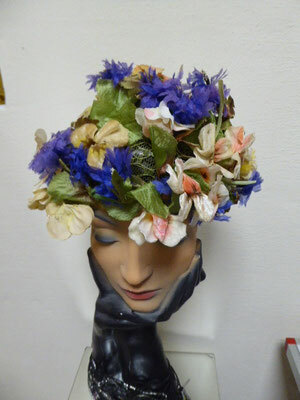 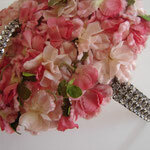 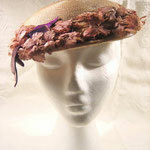 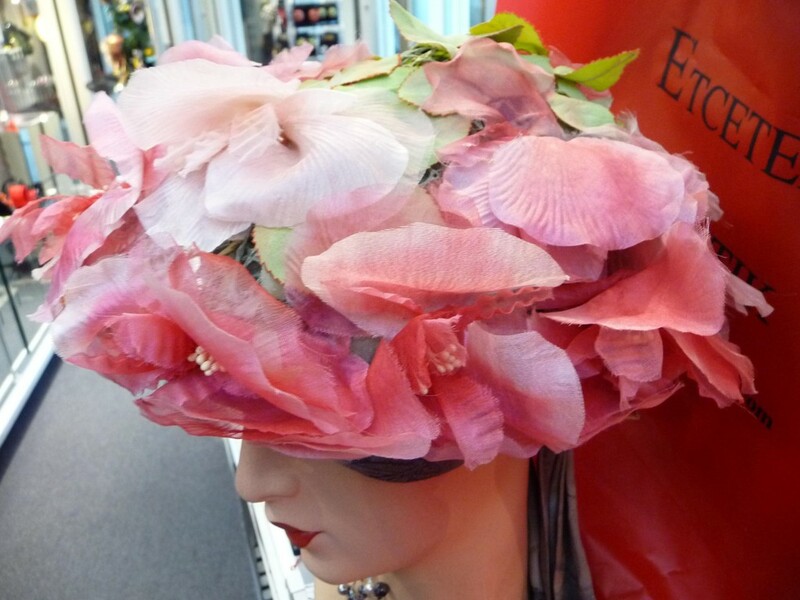 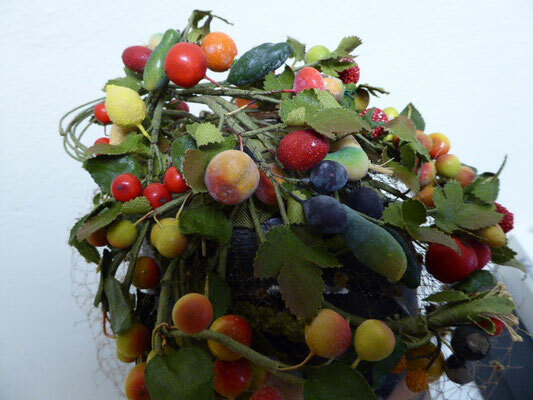 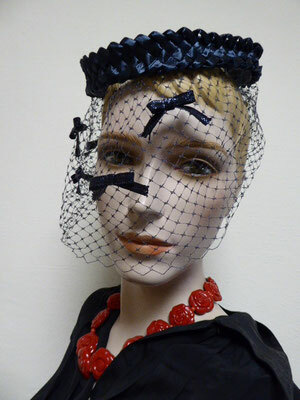 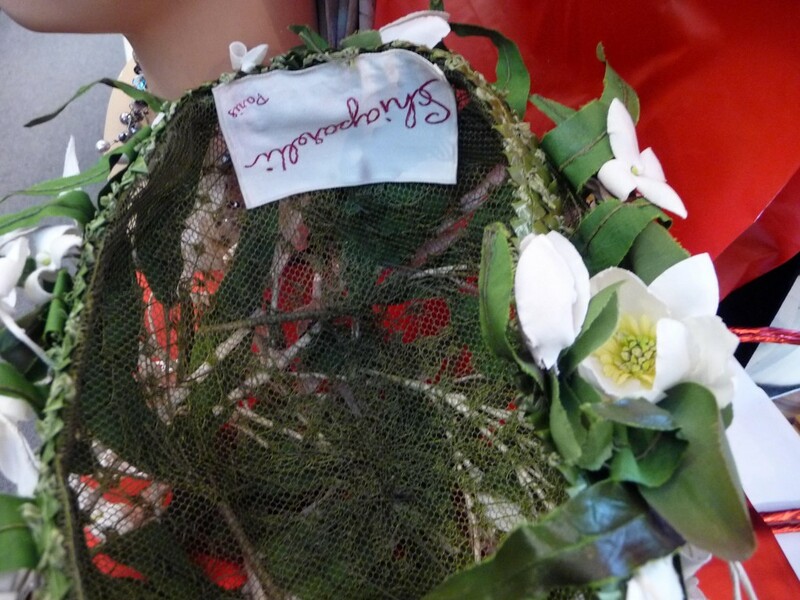 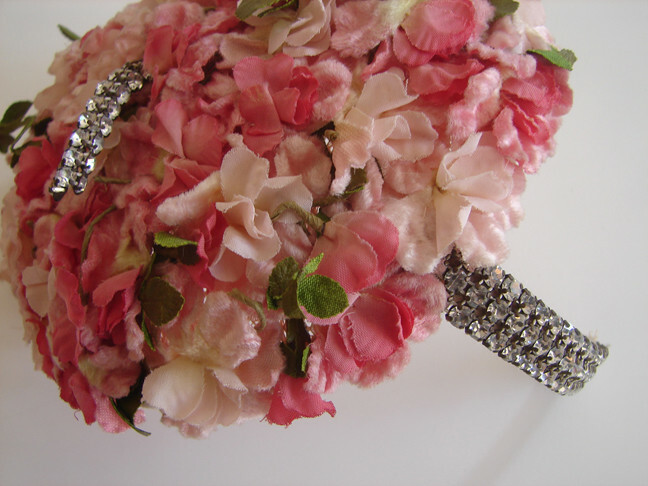 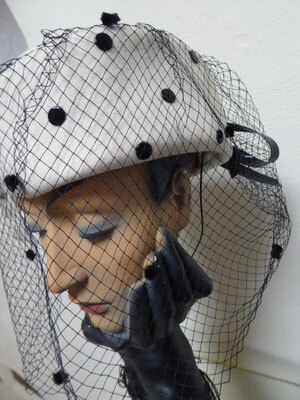 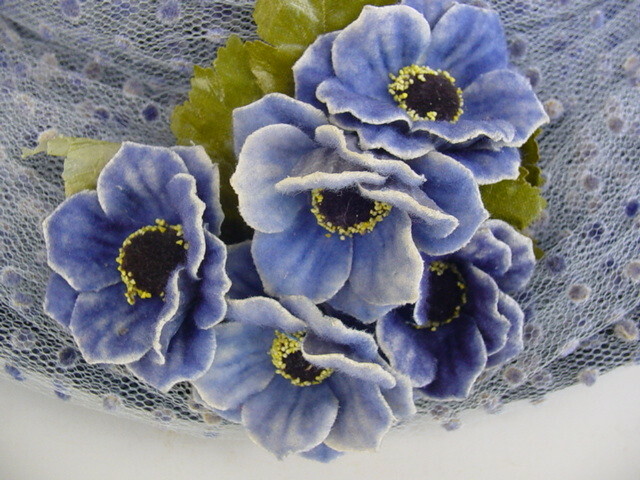 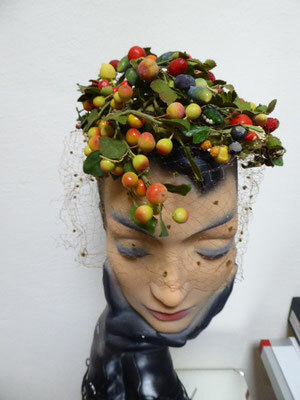 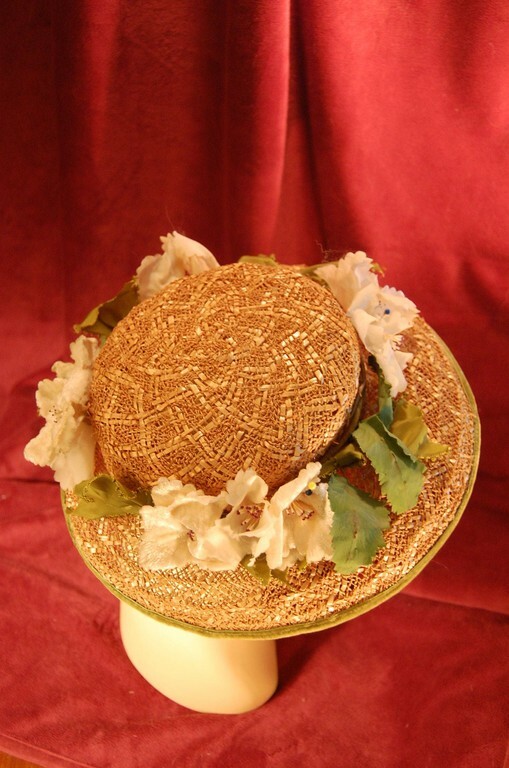 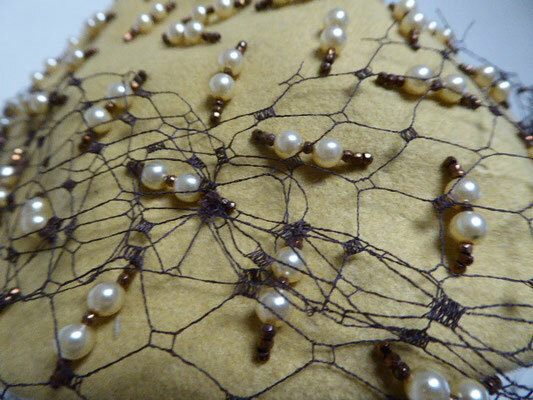 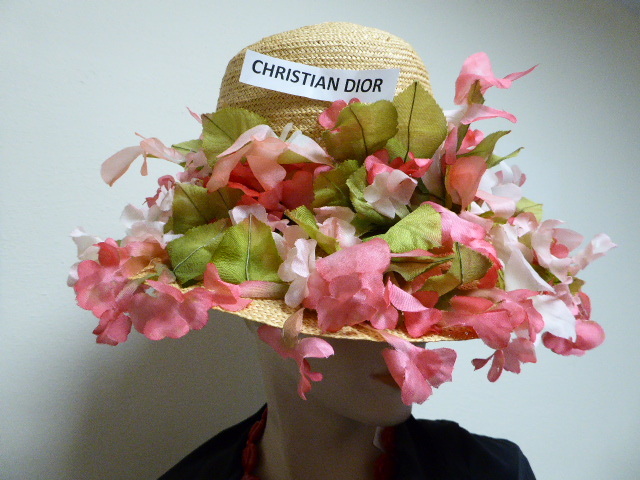 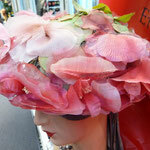 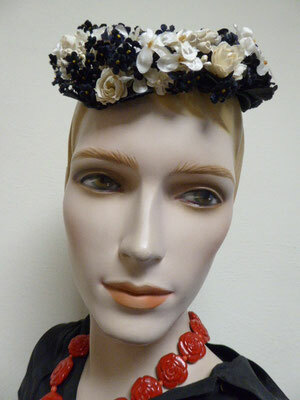 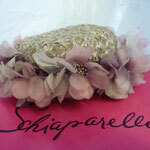 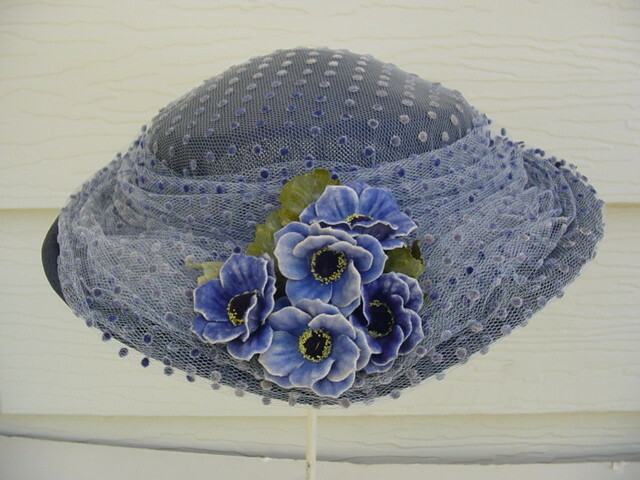 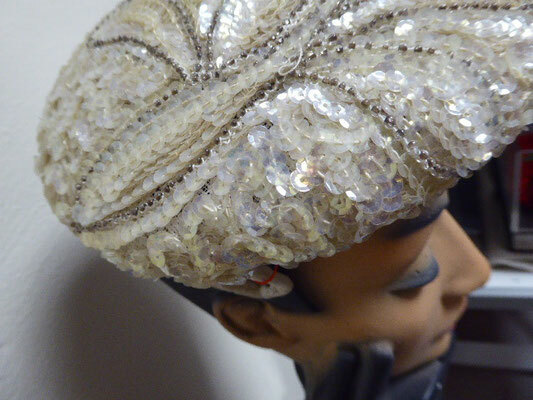 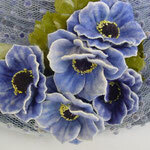 More than just a hat, the creations are gorgeous examples of wearable art."